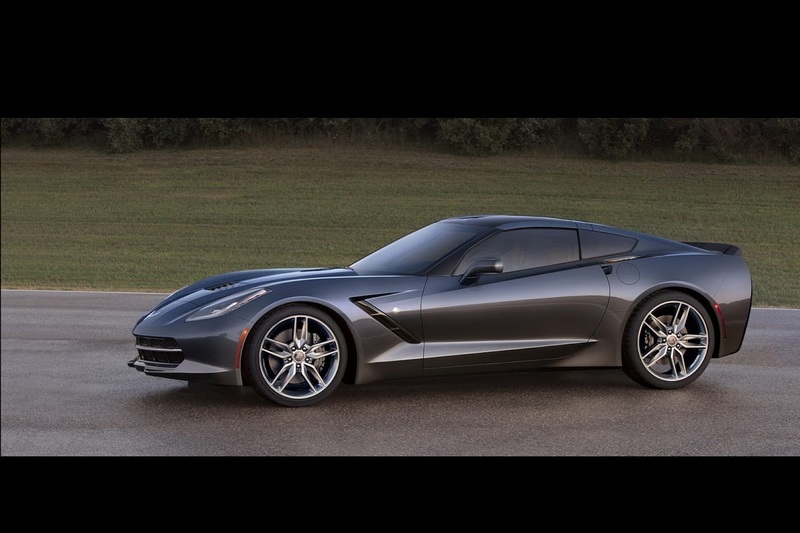 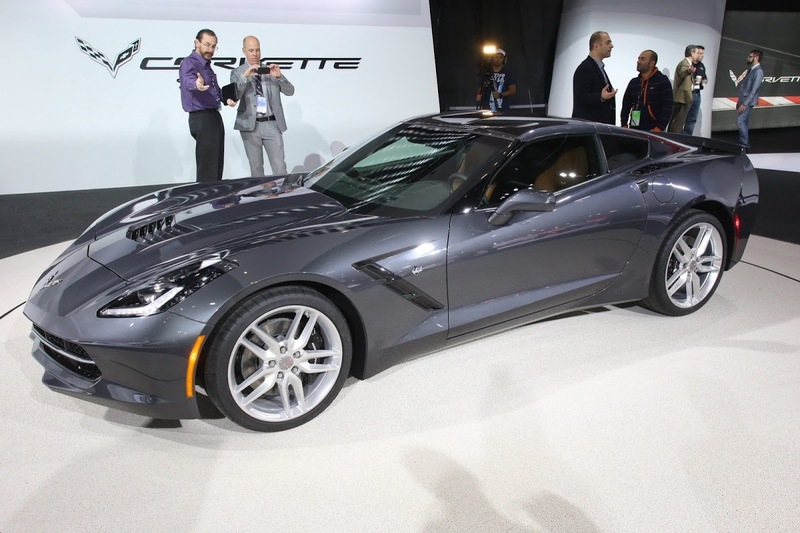 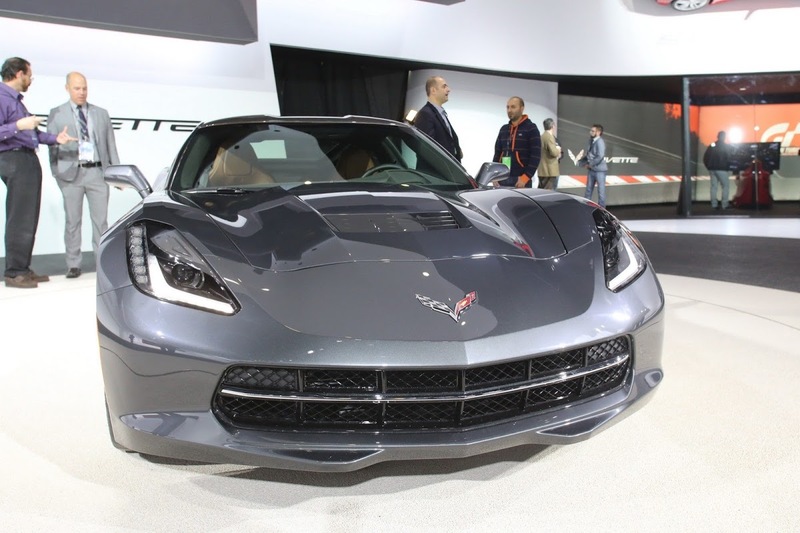 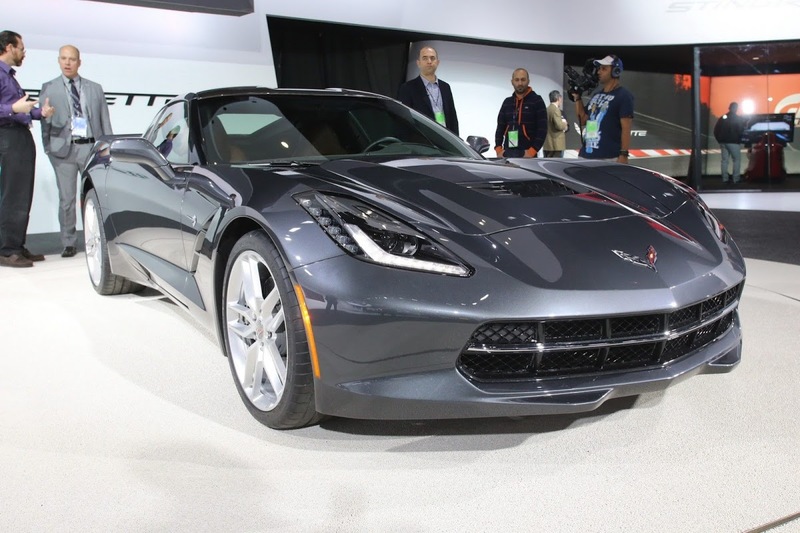 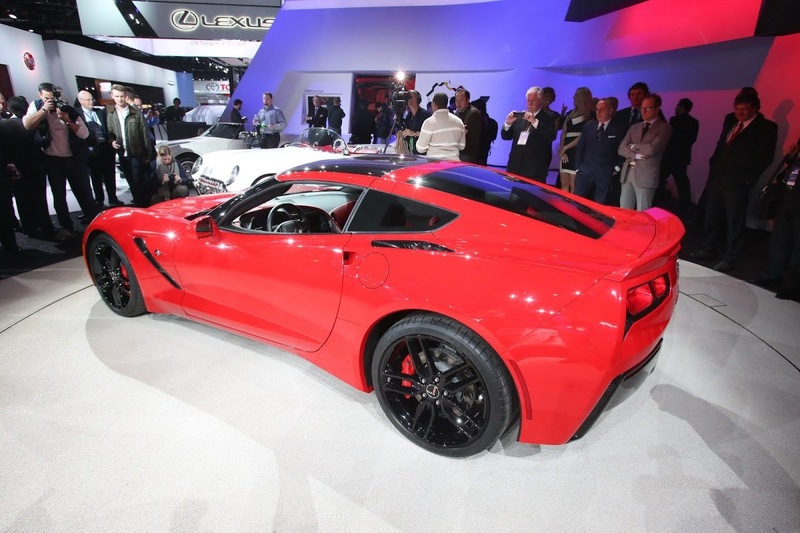 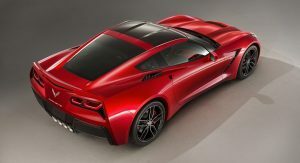 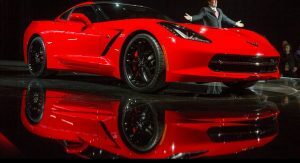 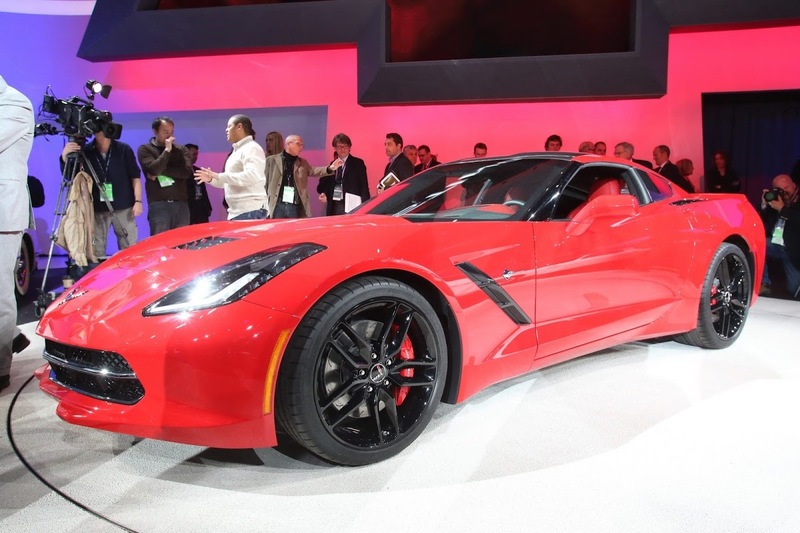 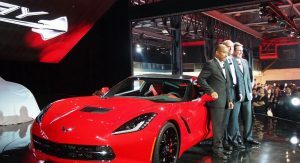 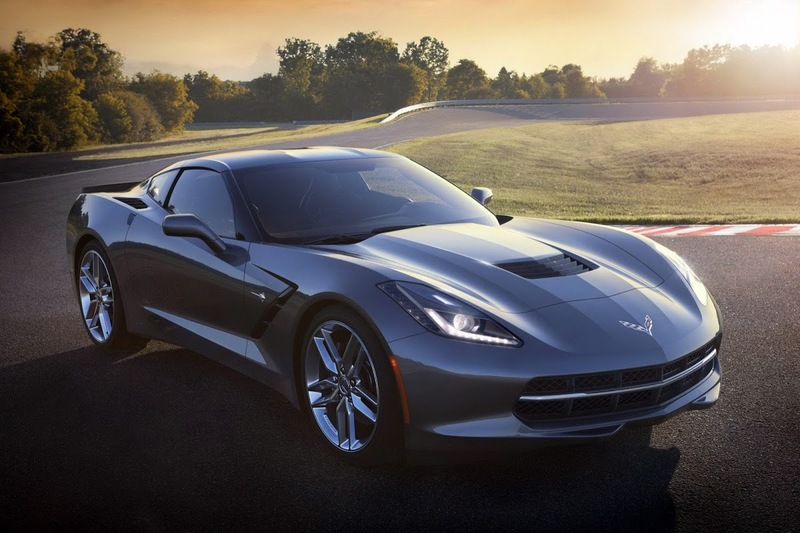 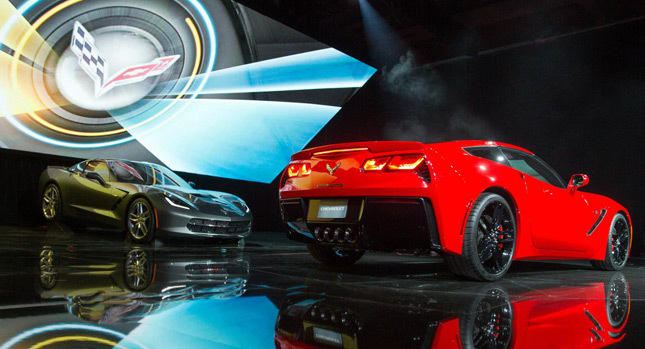 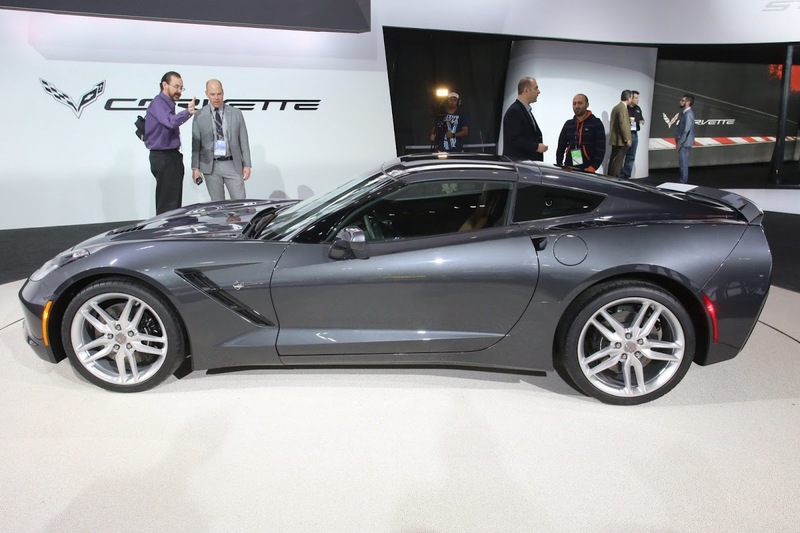 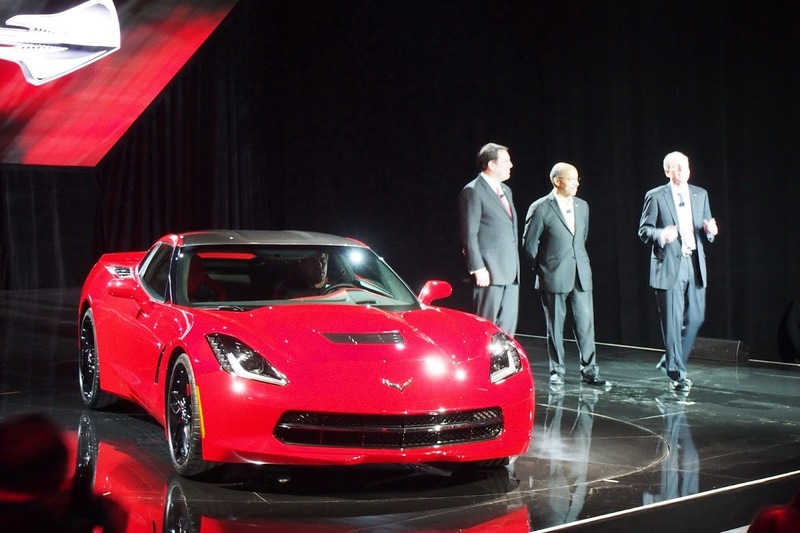 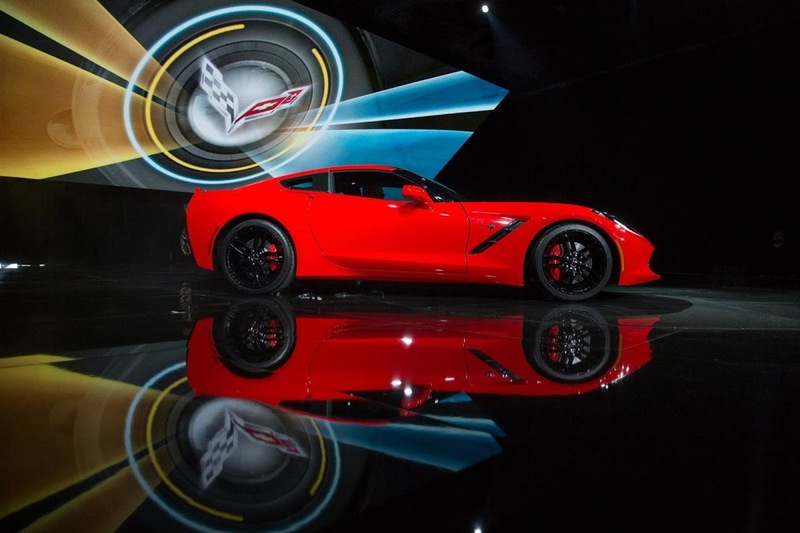 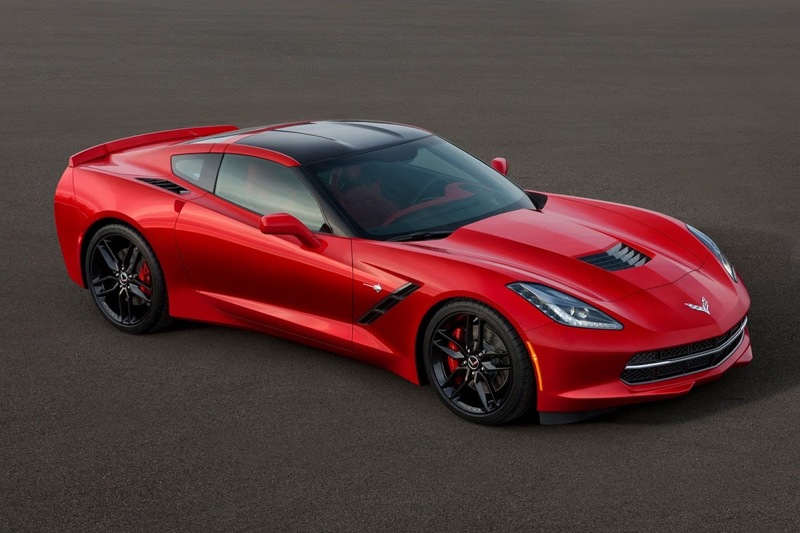 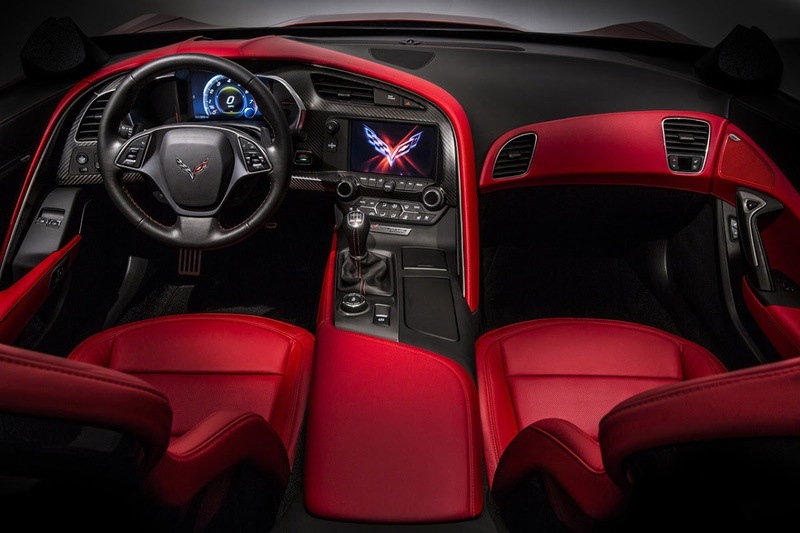 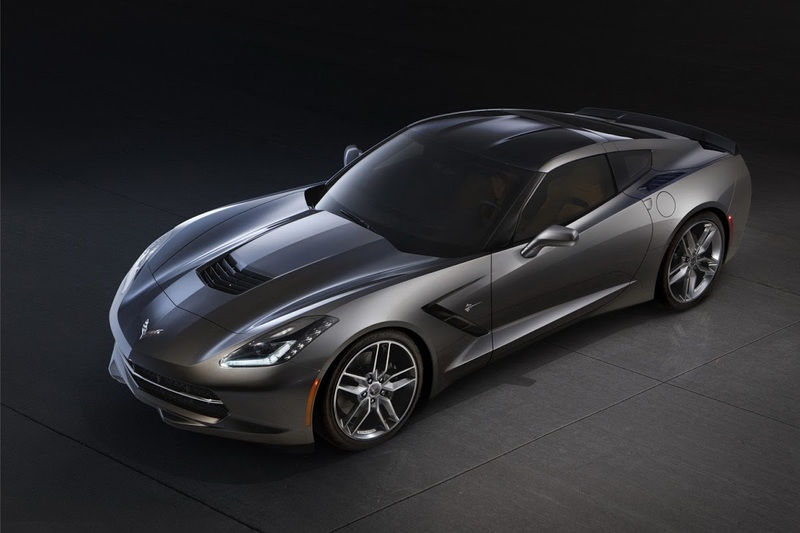 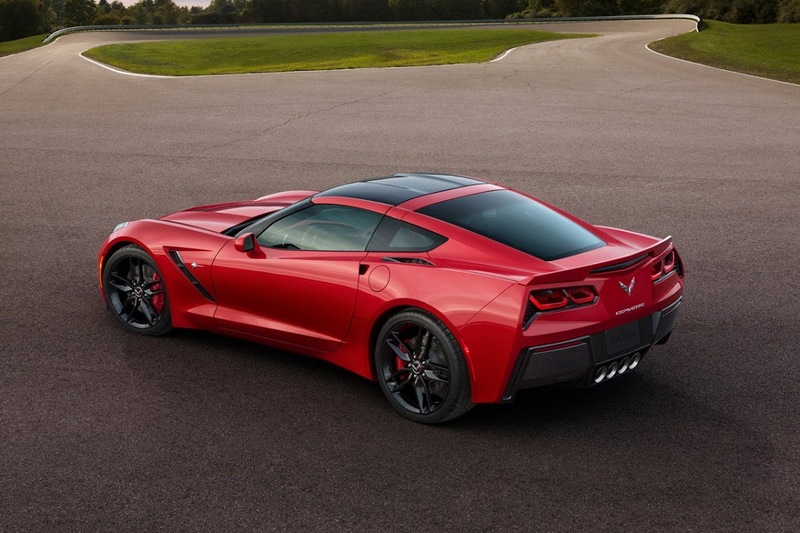 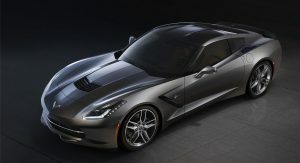 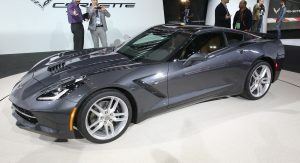 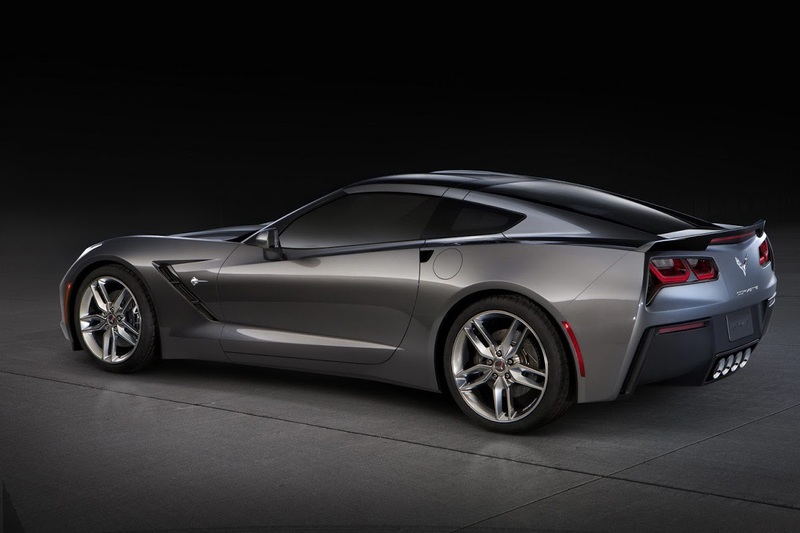 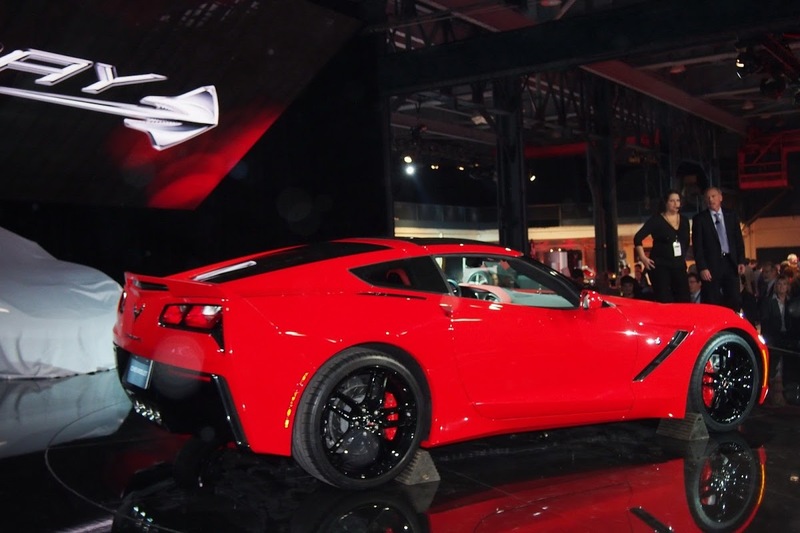 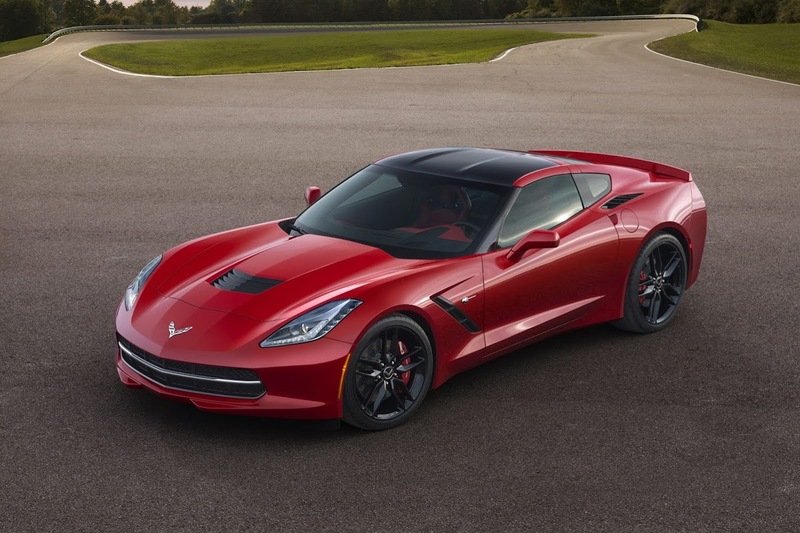 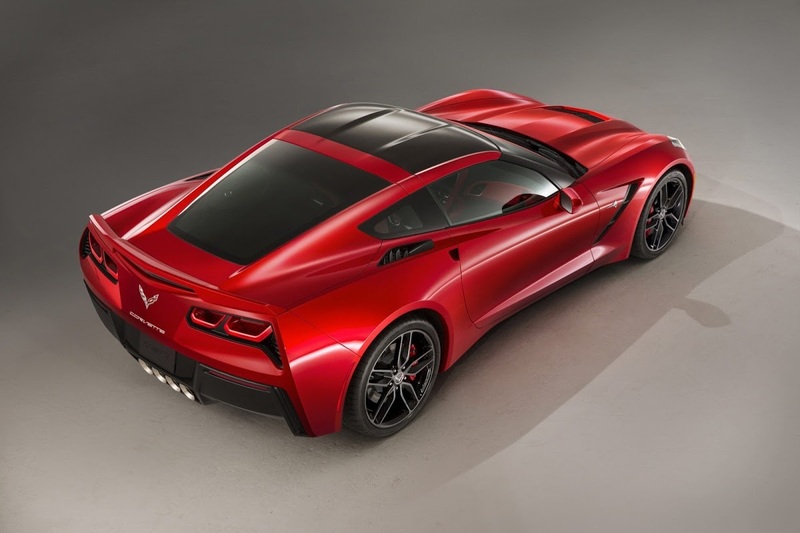 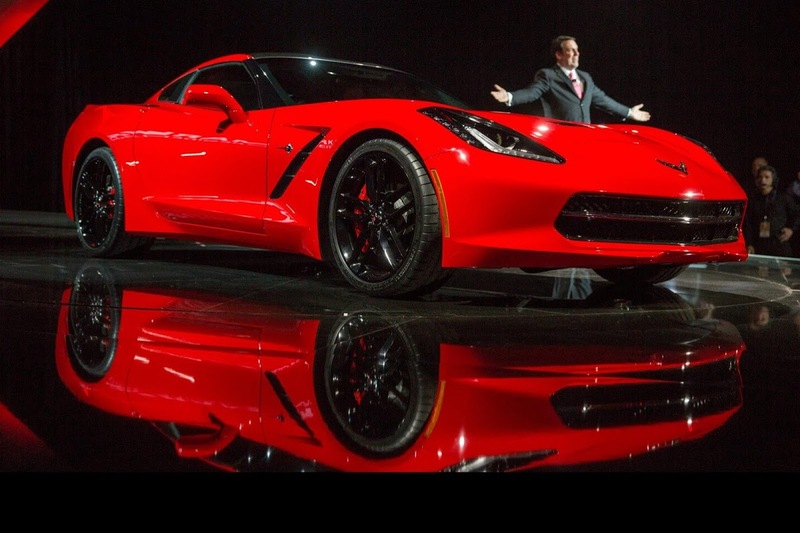 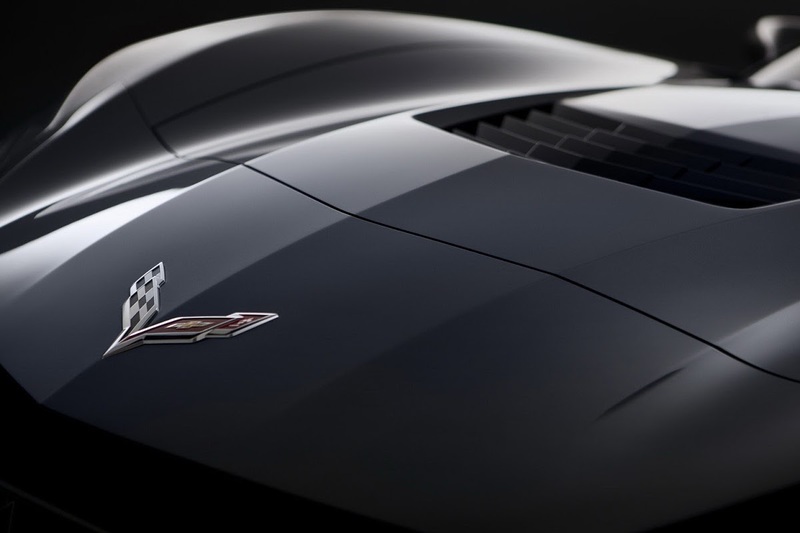 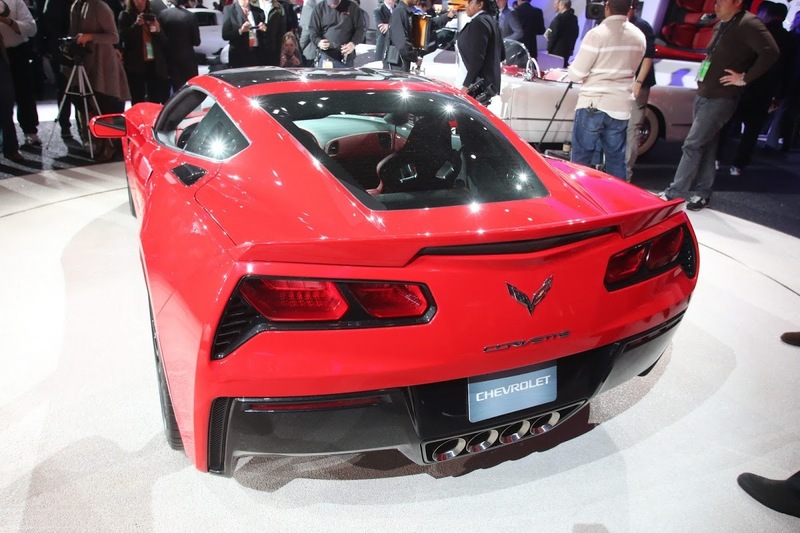 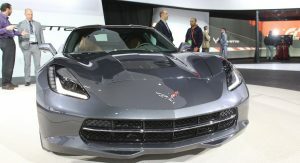 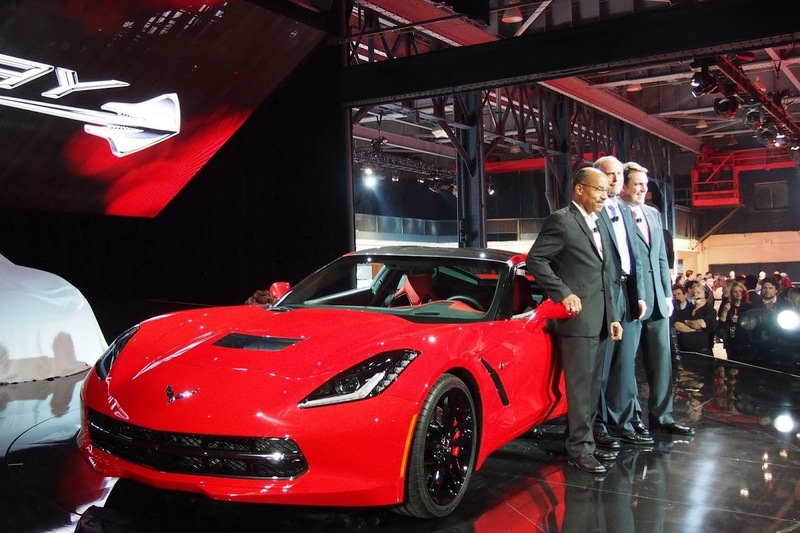 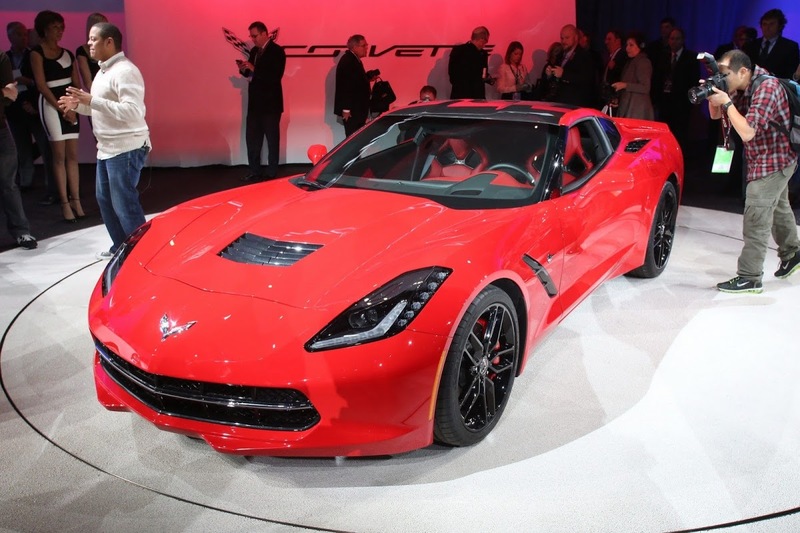 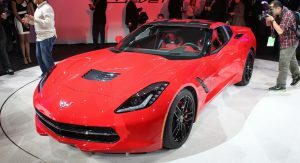 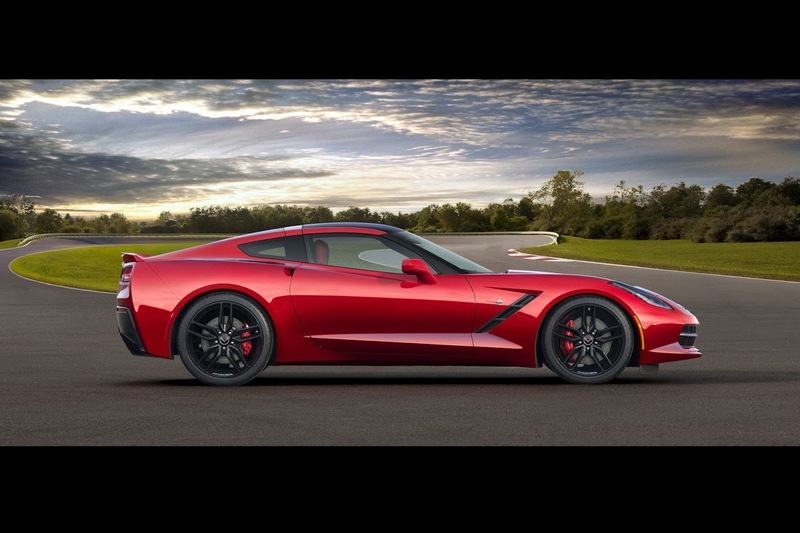 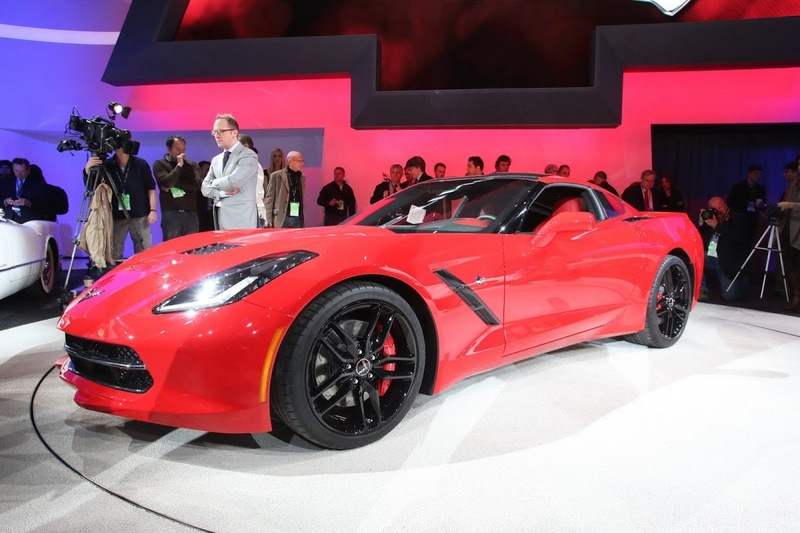 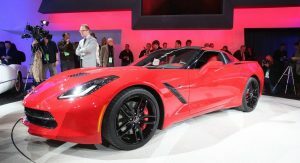 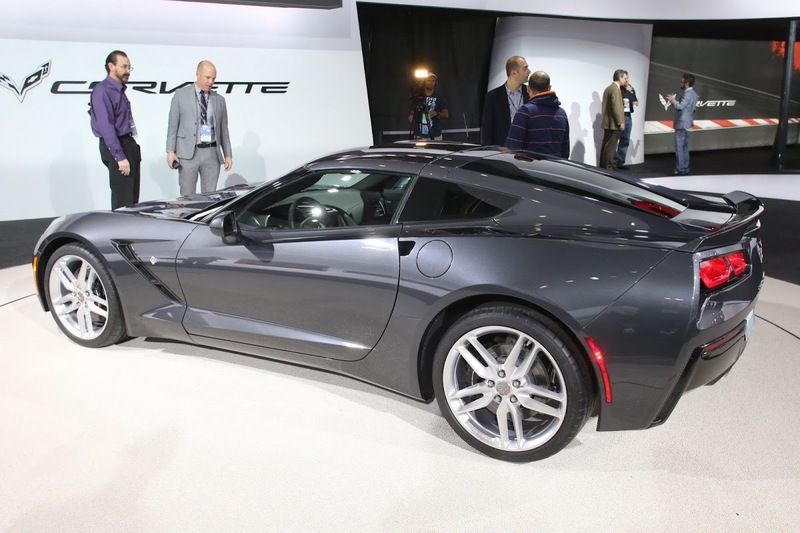 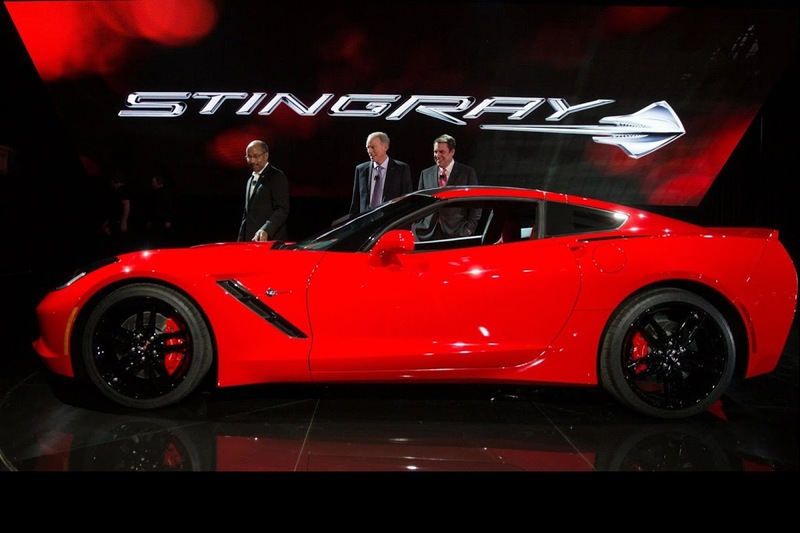 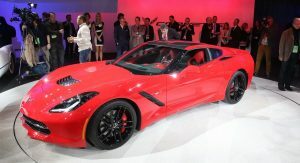 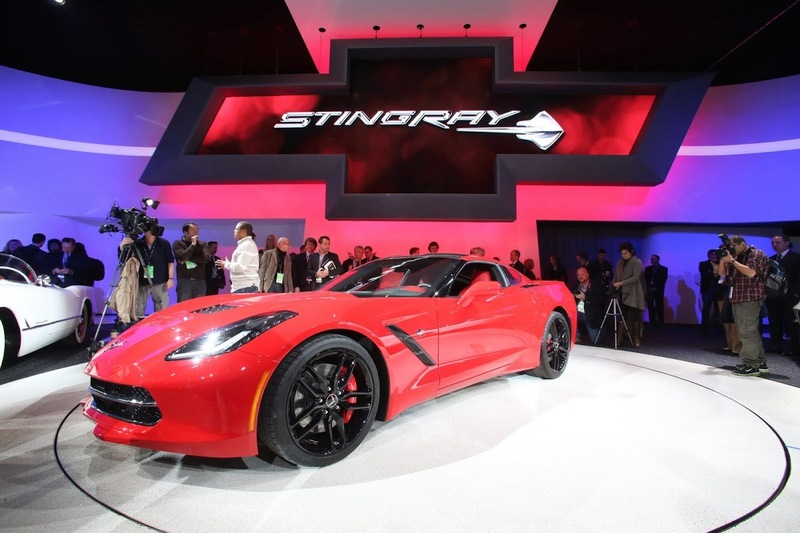 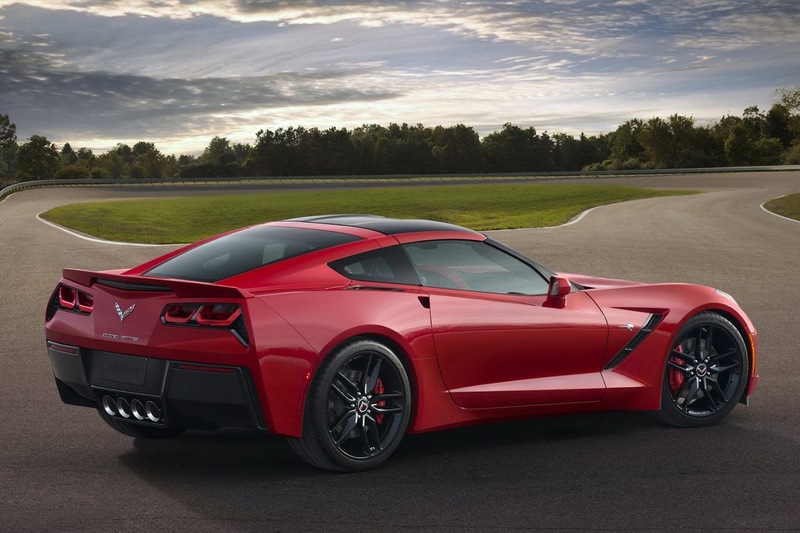 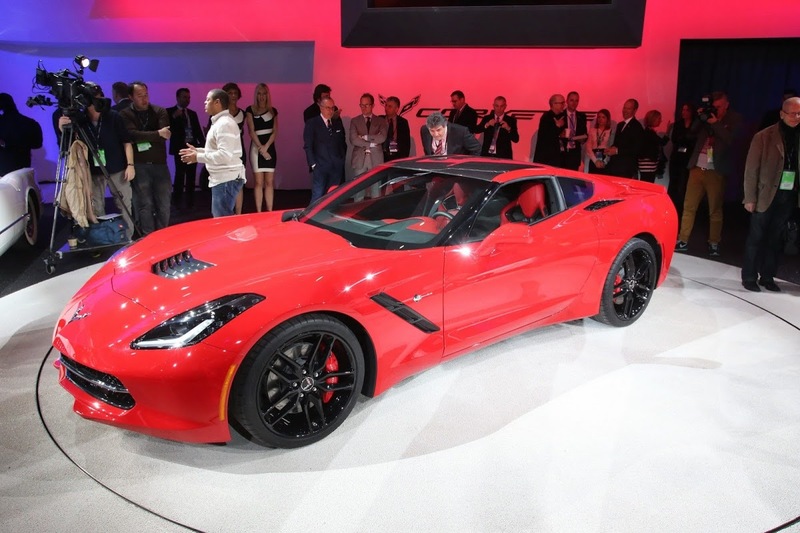 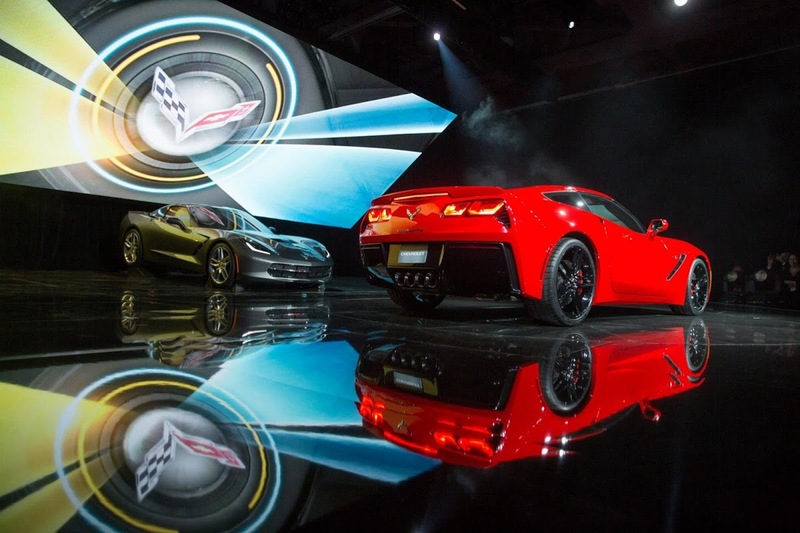 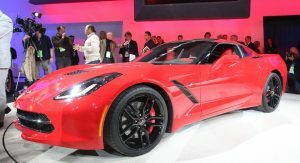 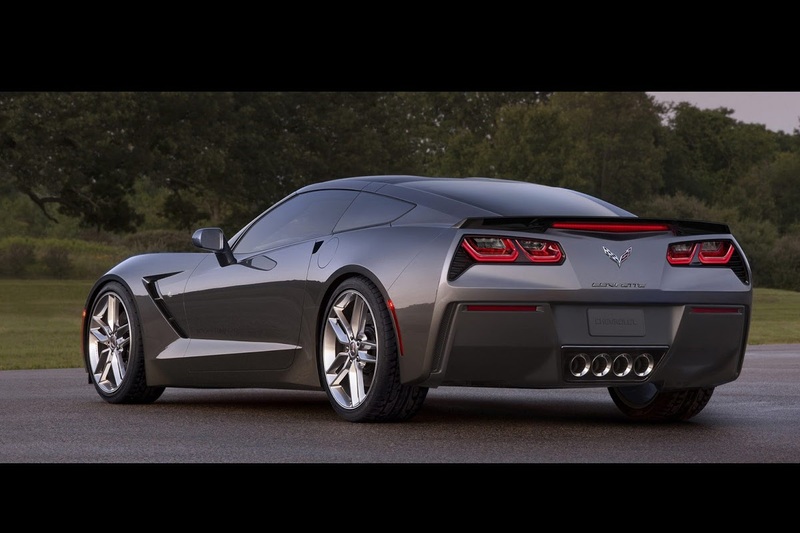 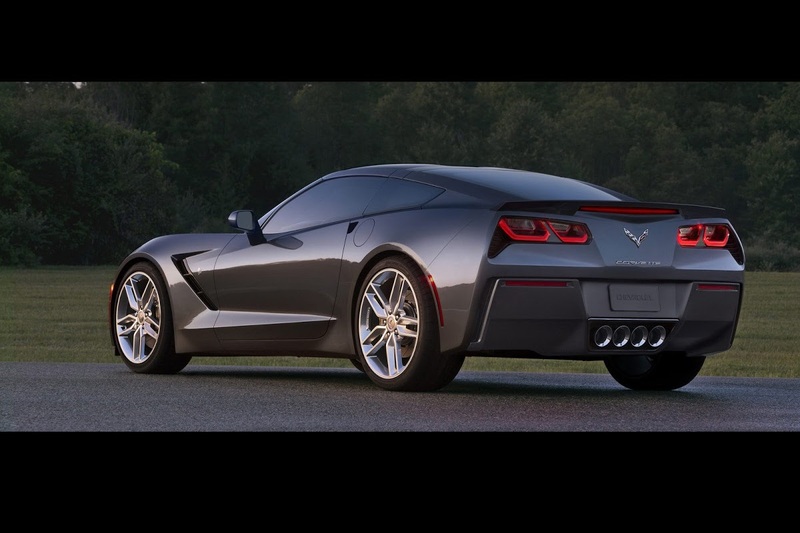 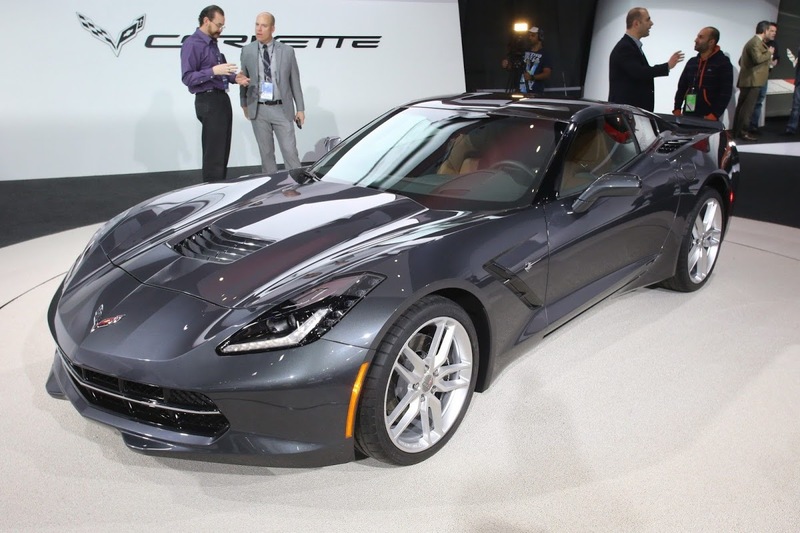 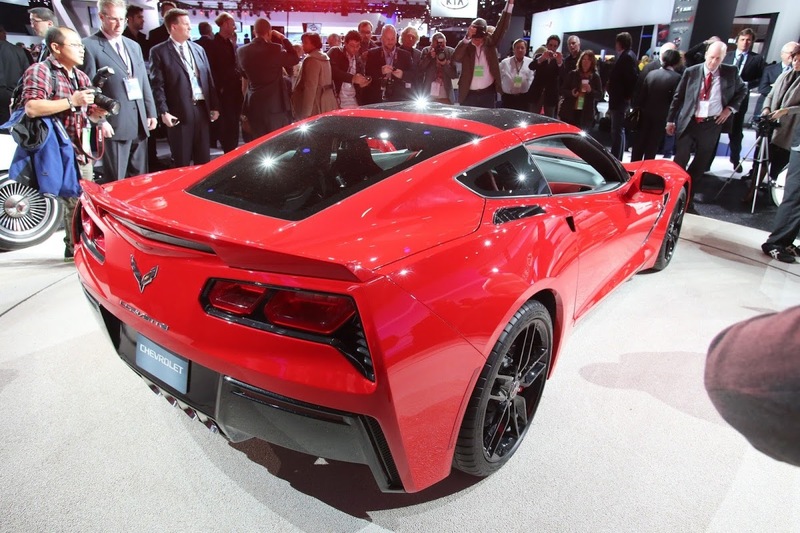 All-New 2014 Corvette Stingray Fully Unveiled, Was it Worth the Wait? 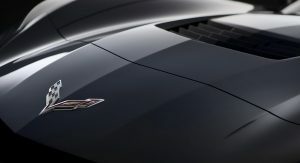 America’s most recognized sports car nameplate is welcoming the debut of its seventh member since it came into the world in 1953. 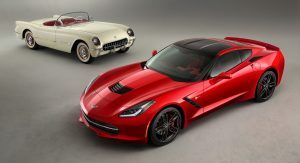 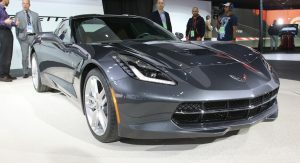 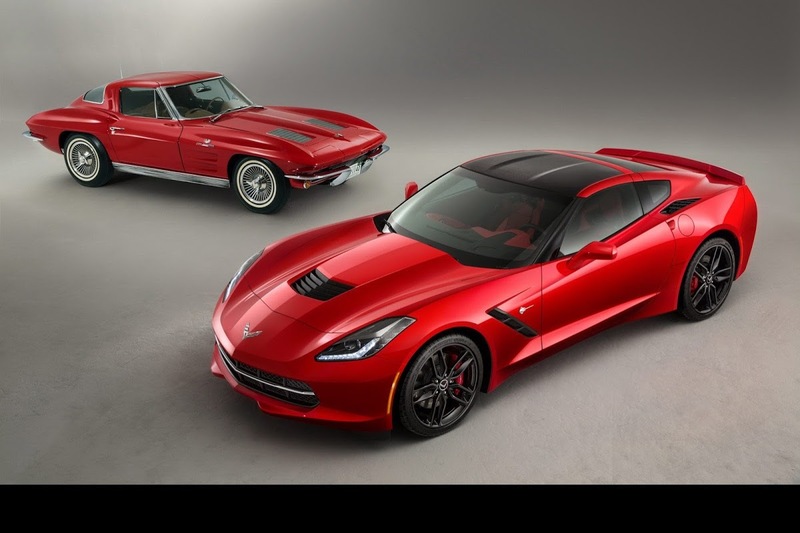 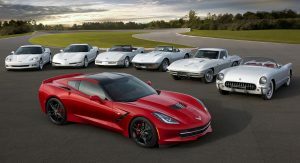 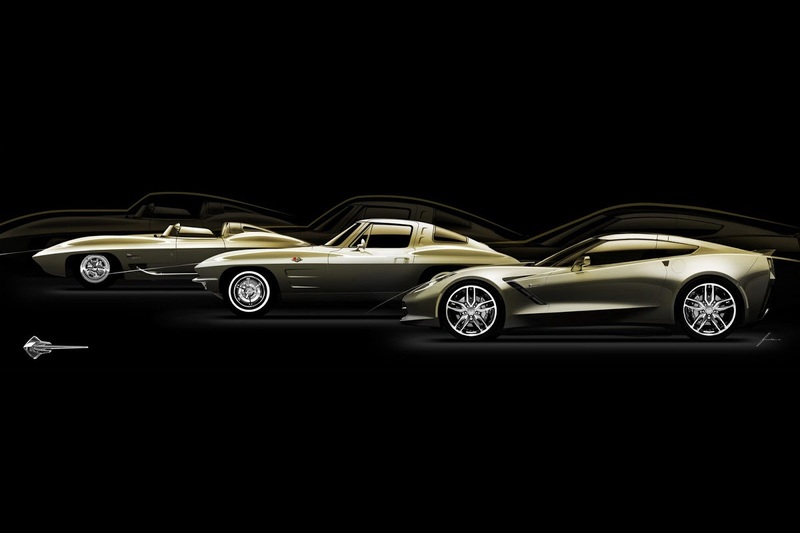 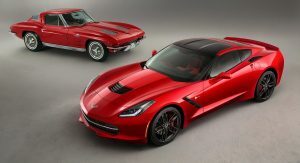 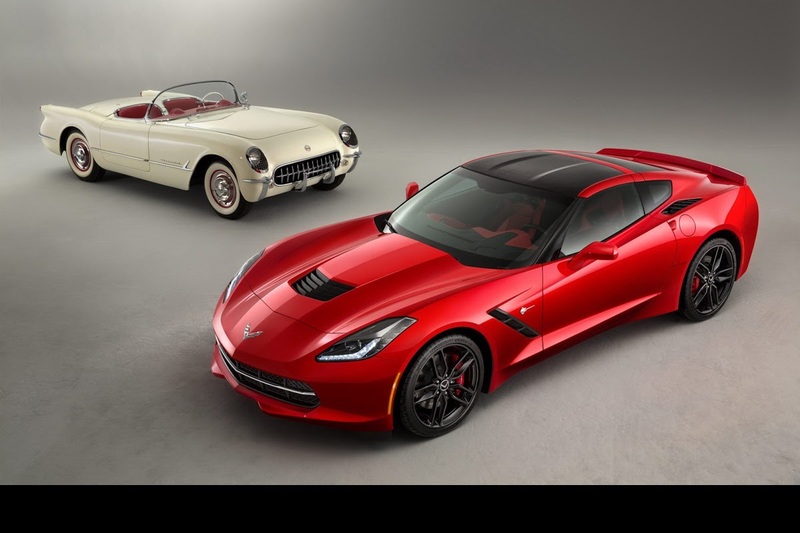 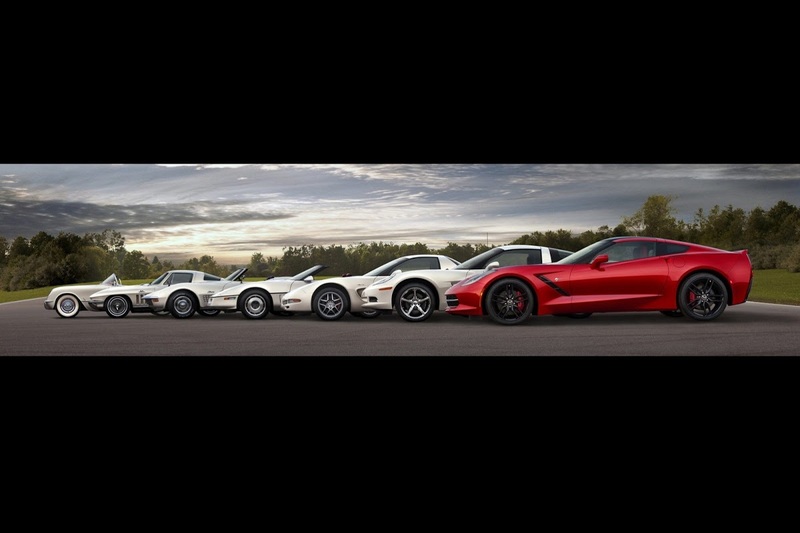 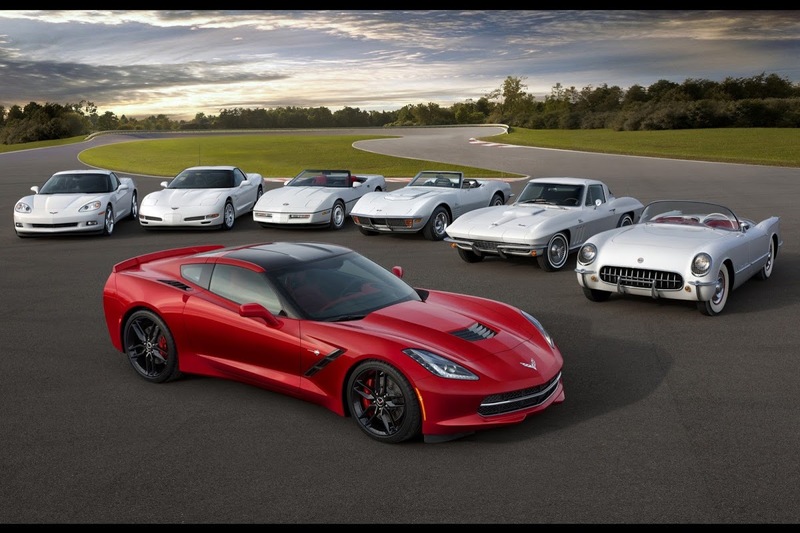 The new Chevrolet Corvette is the third model in the series after the second (1963-1967) and third (used between 1969 and 1976) generation vehicles to wear the Stingray designation. 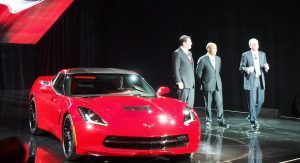 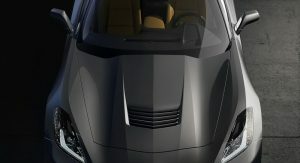 It will receive its world premiere at the Detroit auto show on Monday, January 14, and go on sale in the fall. 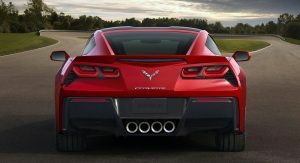 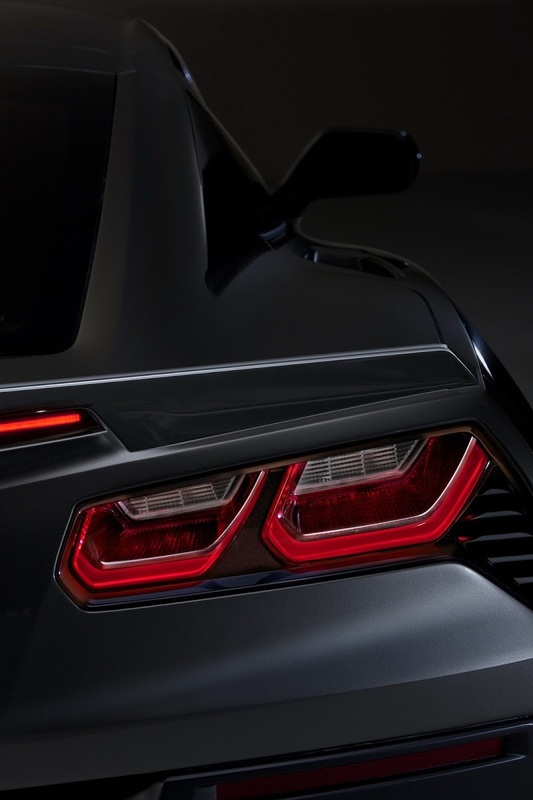 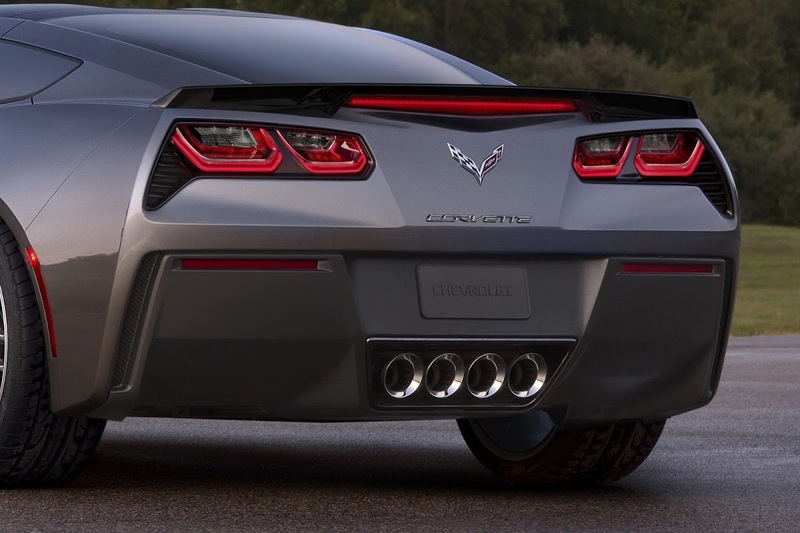 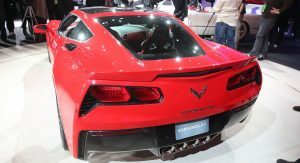 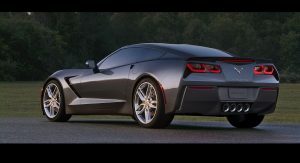 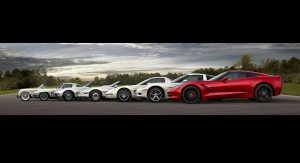 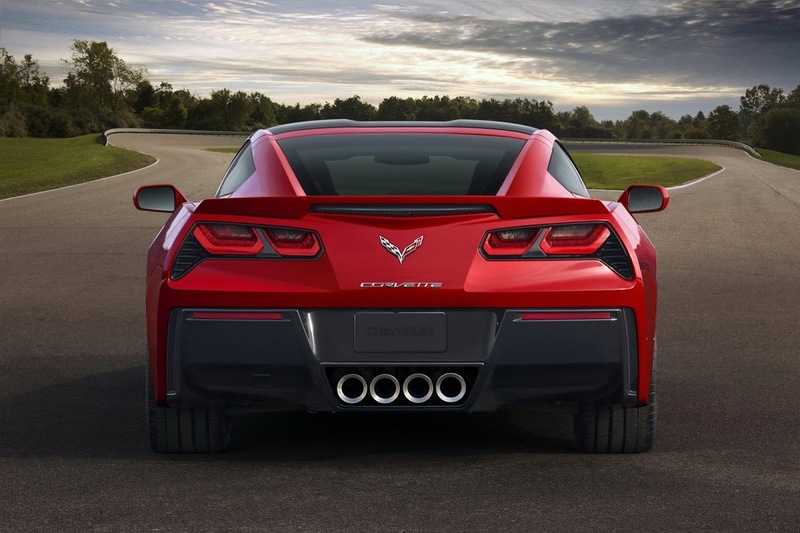 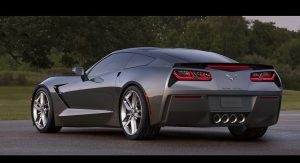 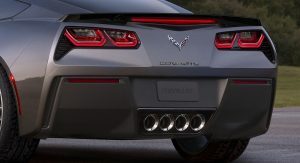 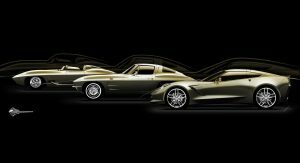 As with all Corvettes or any other sports car for that matter, the first thing you will notice is the exterior styling, which in the case of the C7, breaks many traditions like the round or rounded-square taillights found on all Corvette’s since 1961, while keeping others. 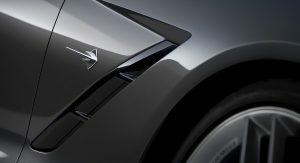 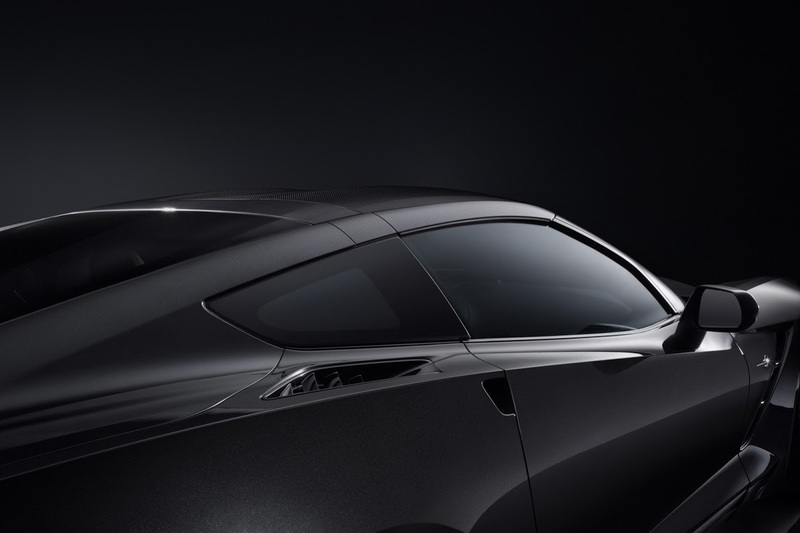 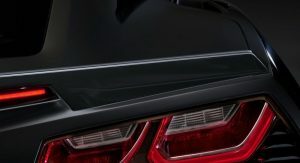 Another new feature worth noting is the presence of rear-quarter windows, which were last seen in the first generation coupe model. 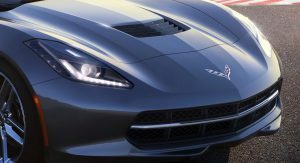 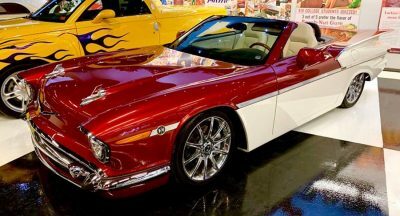 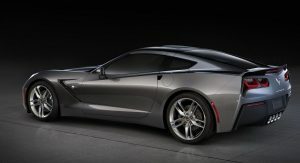 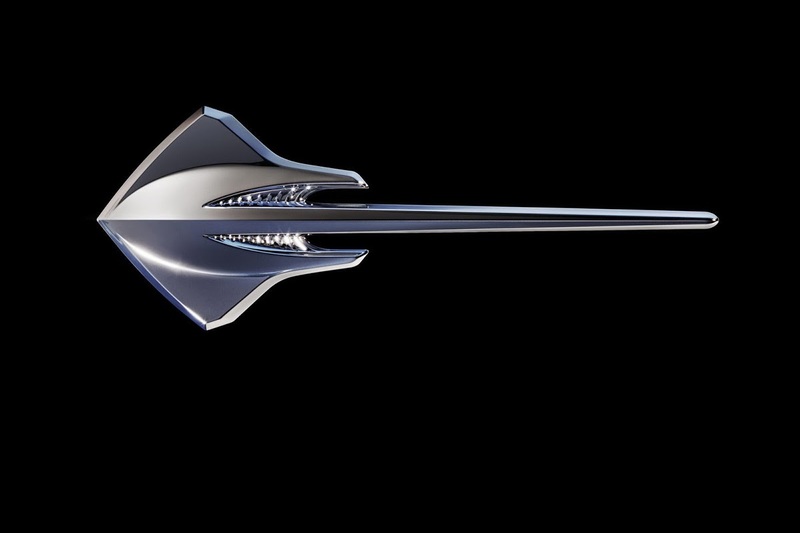 Many aspects of its design were previewed by the 2009 Stingray concept that appeared in the Transformers movies as Sidewipe. 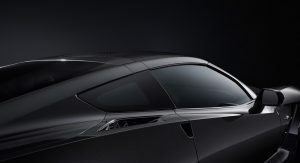 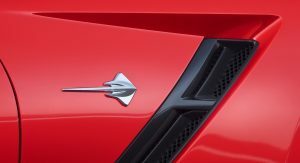 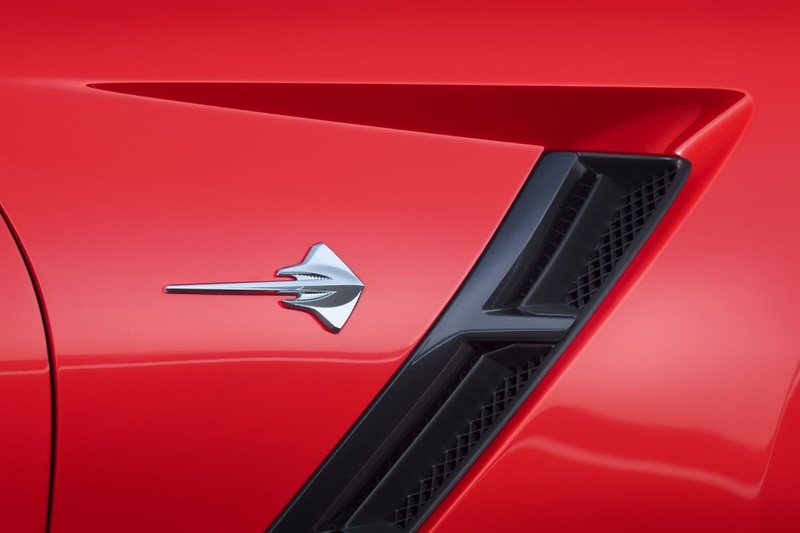 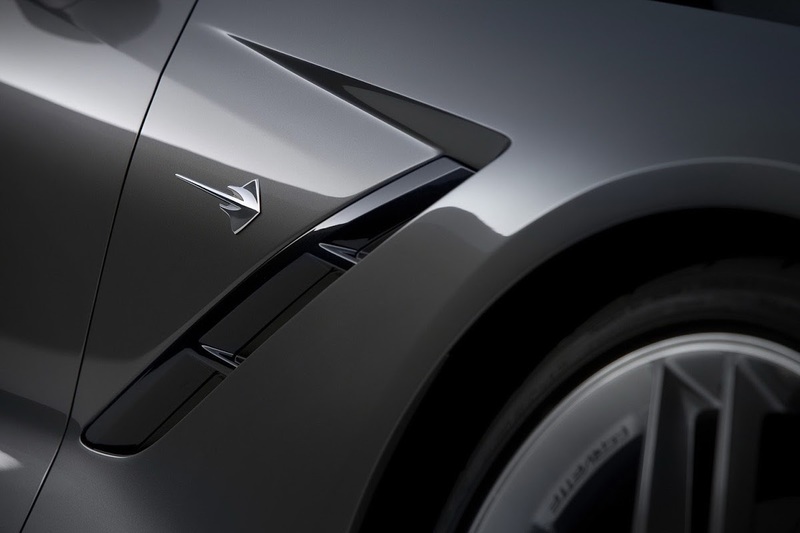 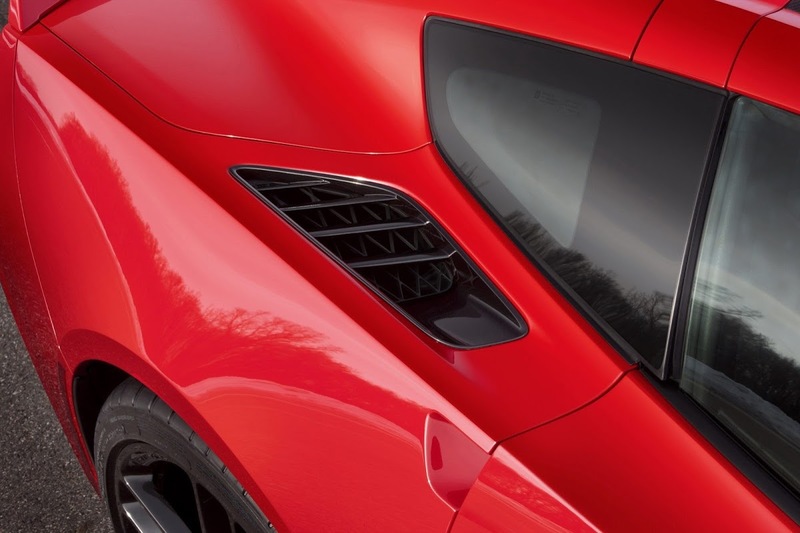 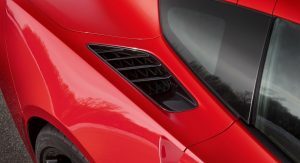 It’s too early to say whether the edgier and more sculpted design of the new Corvette Stingray will capture the imagination of buyers and fans alike and if it will become a classic, but as a first observation, we’d say that the from some angles, the styling looks unnecessary busy and overly trimmed, while we haven’t warmed up to the plain-Jane-shaped rear window, yet. 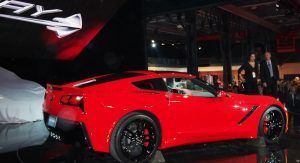 From what we gather, many of the design choices were made to cater to the tastes and needs of both traditional buyers as well as the younger generation that finds cars like the Nissan GT-R more attractive. 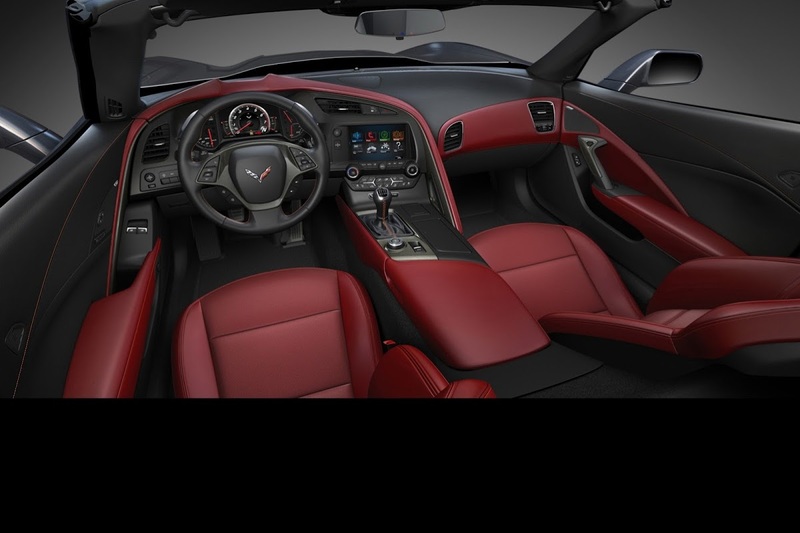 The interior of the outgoing Corvette C6 was such a low-point that Chevrolet couldn’t really do worse even if it tried. 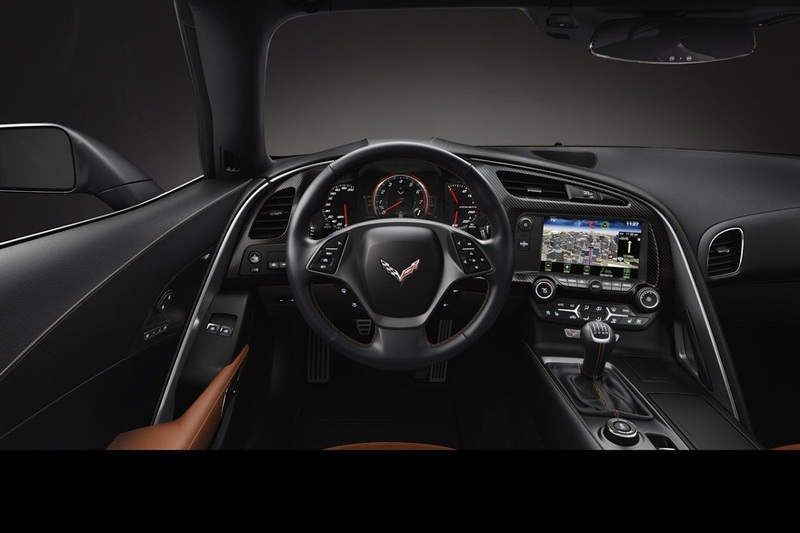 The new model’s cabin is definitely an aesthetic improvement with a driver-orientated dashboard, the shape and lines of which may or may not remind some of you of the Audi R8. 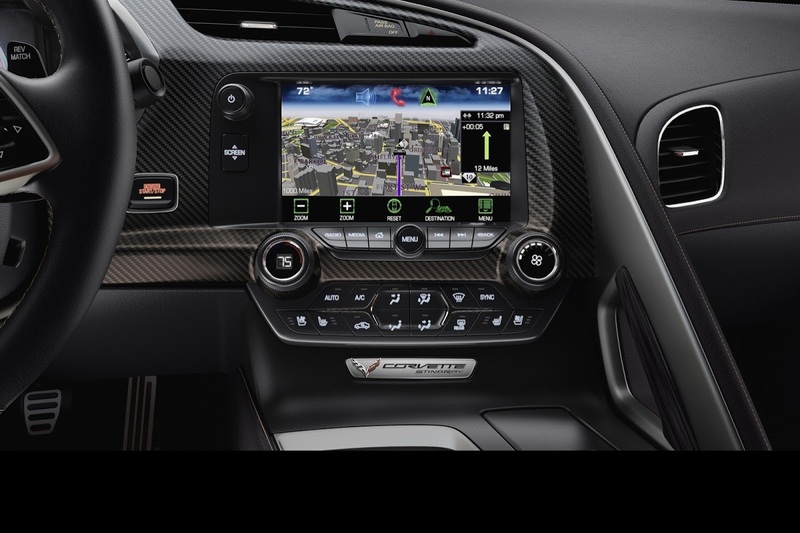 Among other highlights is the new 8-inch screen in the center of the instrument panel flanked by regular gauges, and a large display for the infotainment and navigation system on the center stack. 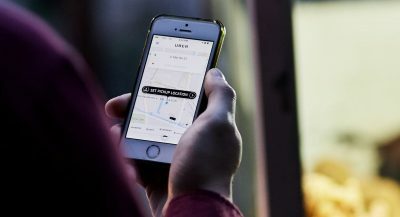 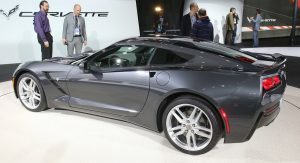 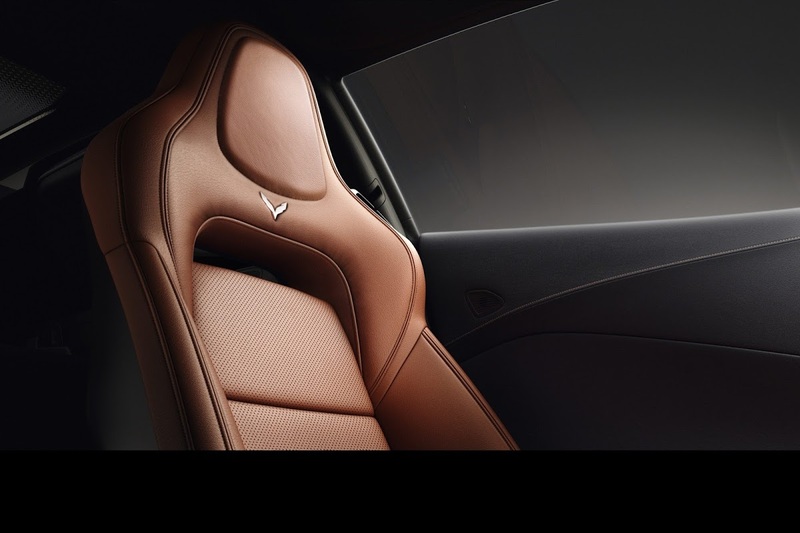 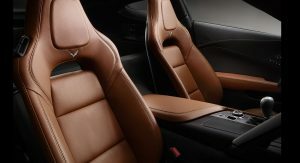 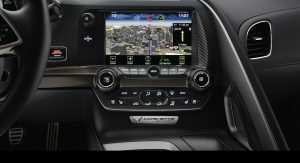 Chevrolet says that it has improved the quality of materials as well, with the cabin featuring real carbon fiber, aluminum and hand-wrapped leather surfaces. 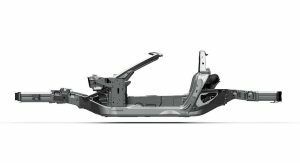 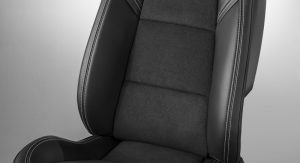 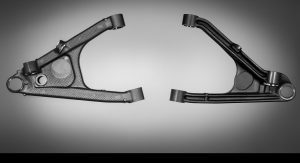 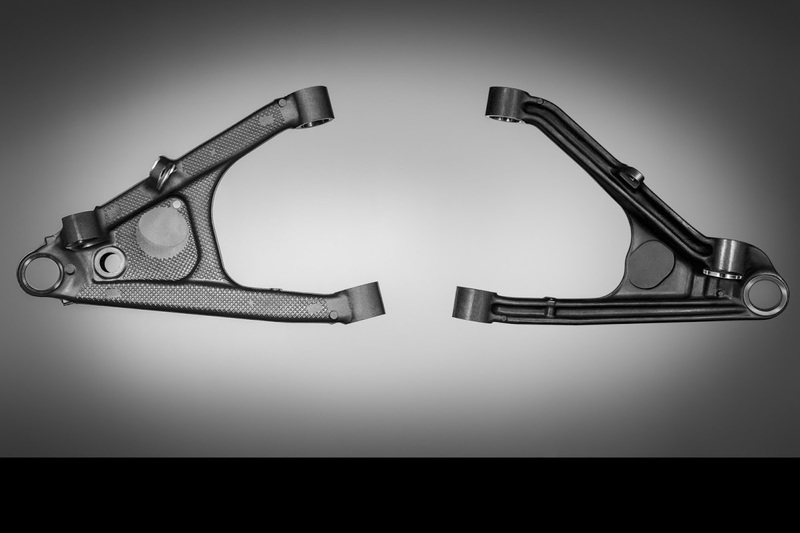 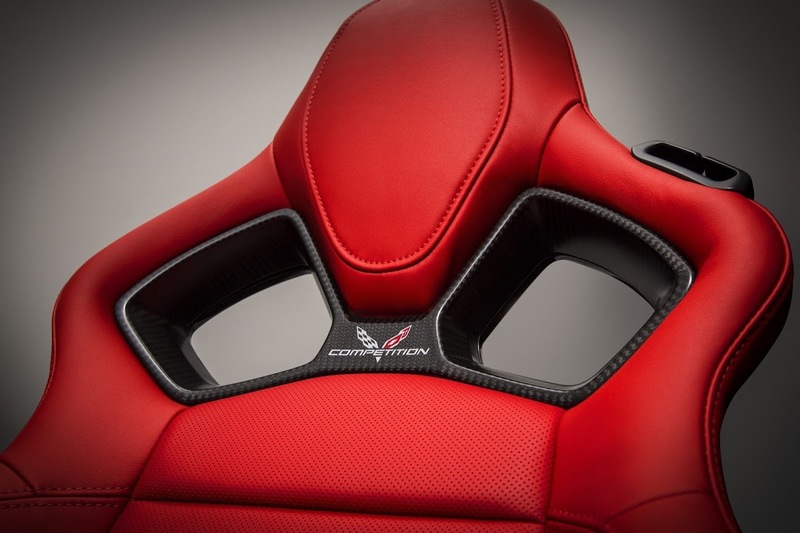 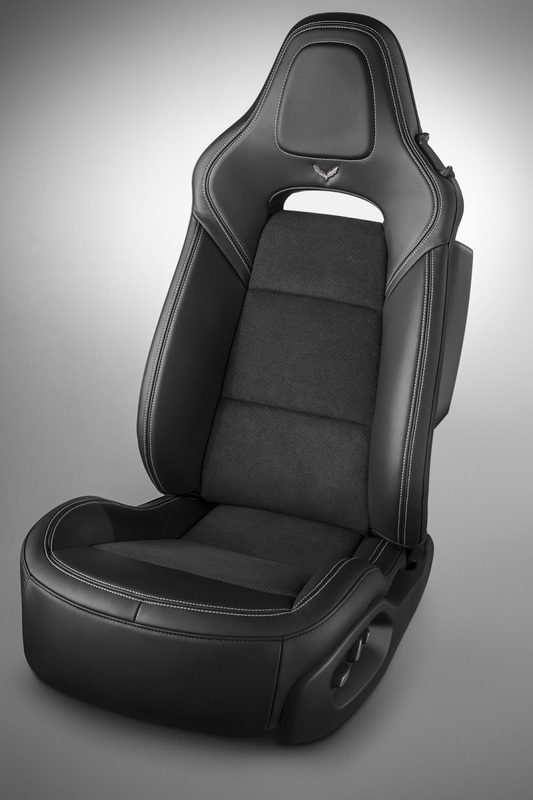 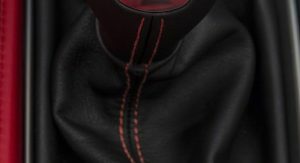 Buyers will have a choice of two seats, each featuring a lightweight magnesium frame. 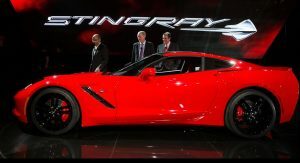 The new Stingray makes use of lightweight materials in its construction and body including a carbon fiber hood and removable roof panel; composite fenders, doors and rear quarter panels; carbon-nano composite underbody panels and a new aluminum frame. 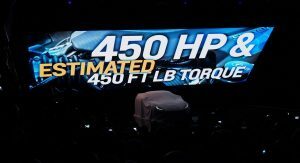 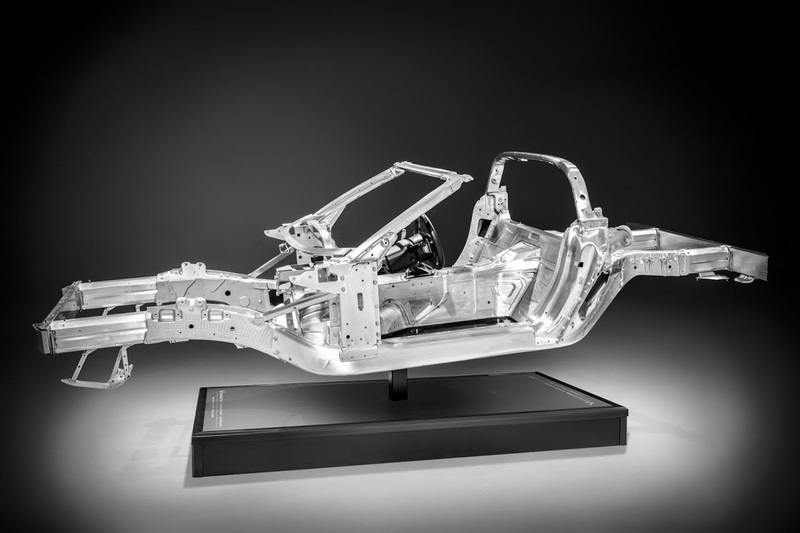 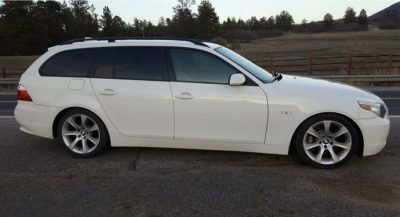 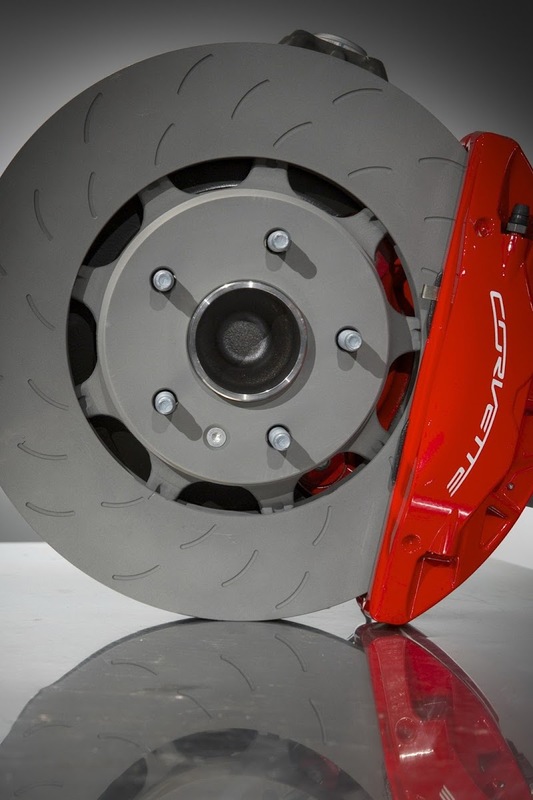 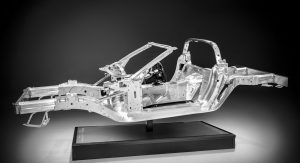 While no specific numbers were given about the car’s curb weight, Chevrolet said that it has shifted weight rearward “for an optimal 50/50 weight balance”. 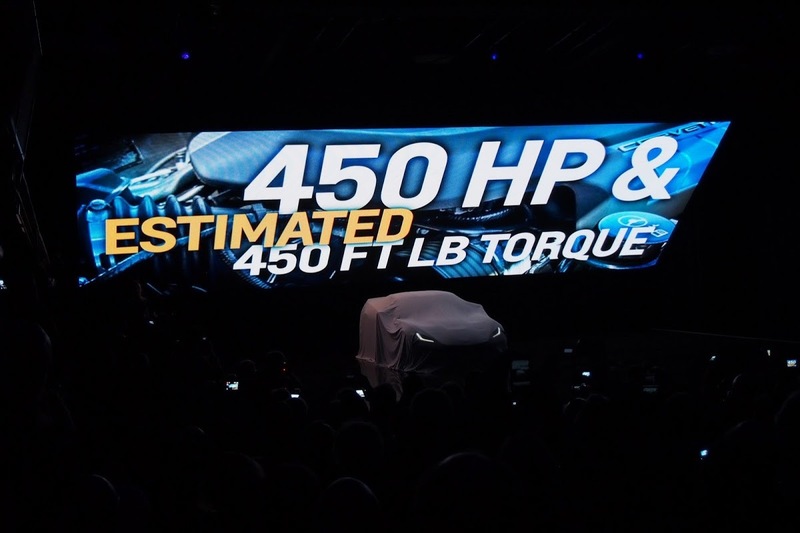 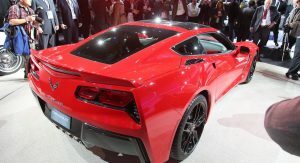 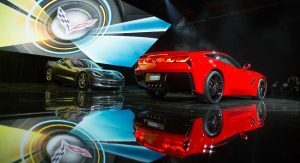 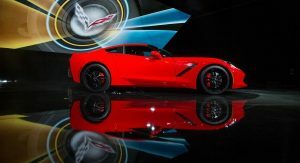 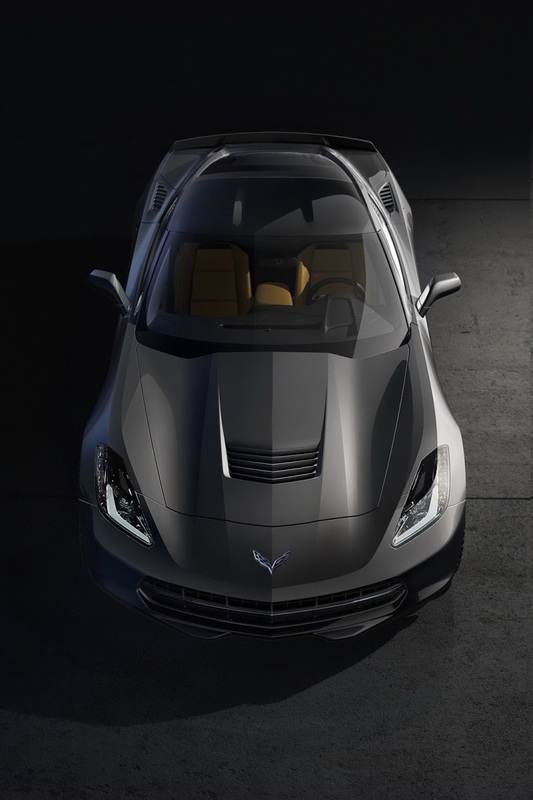 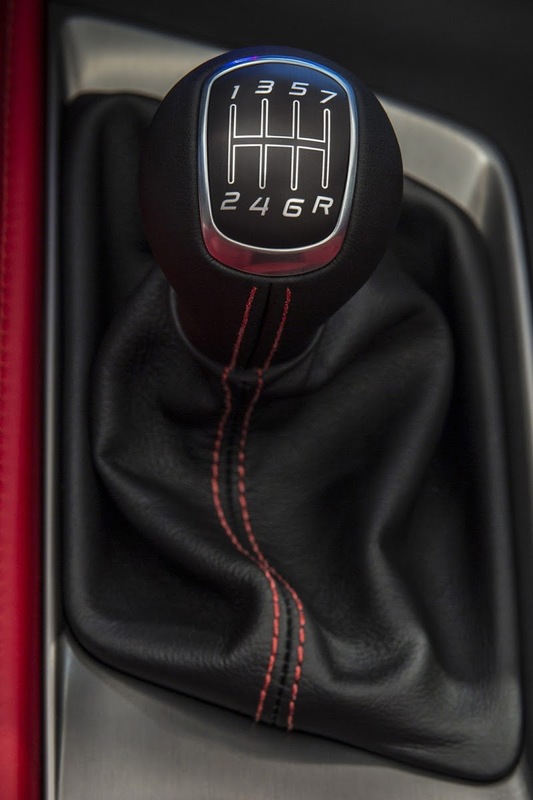 At first, the C7 will be launched onto the market with GM’s newly developed 6.2-liter LT1 V8 engine featuring direct injection, Active Fuel Management, continuously variable valve timing and an advanced combustion system. 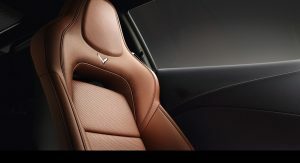 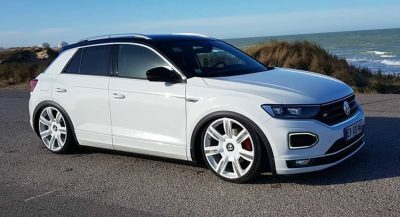 The small block V8 delivers an output of 450HP and peak torque of 450 lb-ft (610 Nm), making it the most powerful entry-level engine in the model’s history, while it is claimed to be the most fuel efficient as well exceeding the EPA-estimated 26mpg (9.0lt/100km) of the current model. 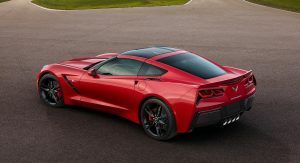 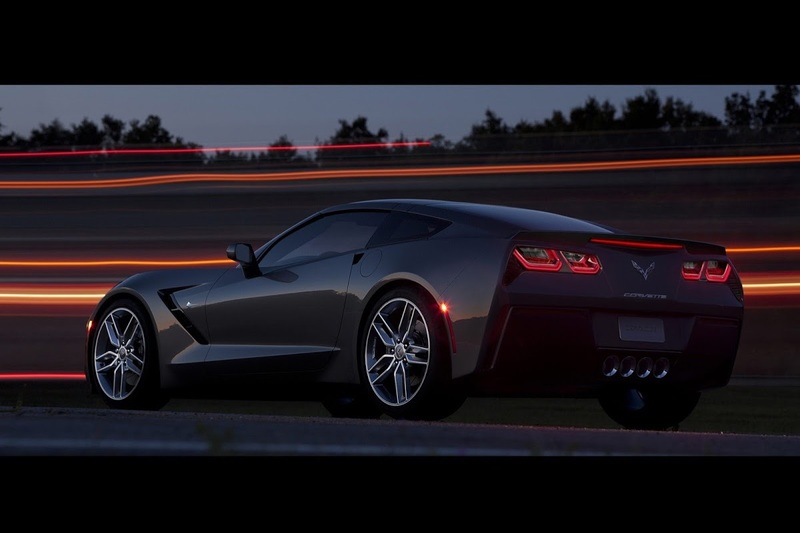 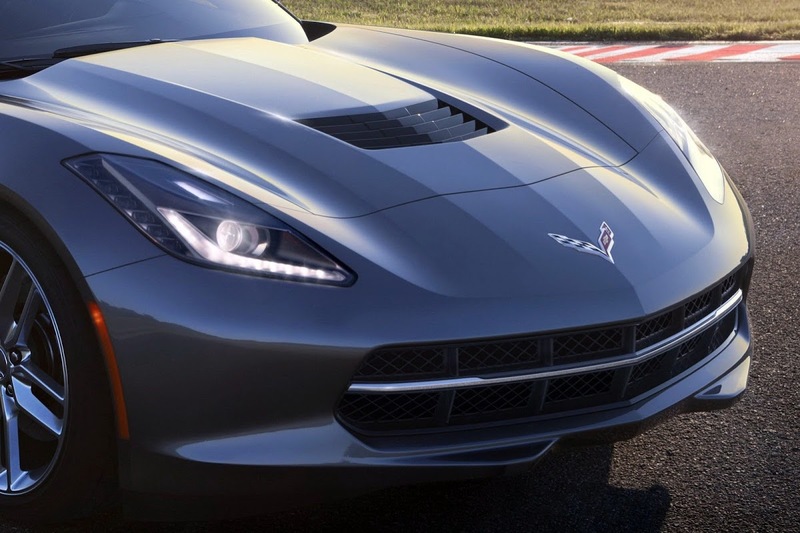 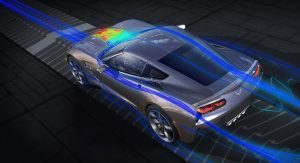 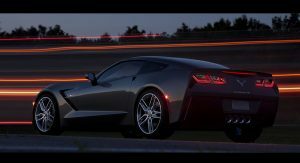 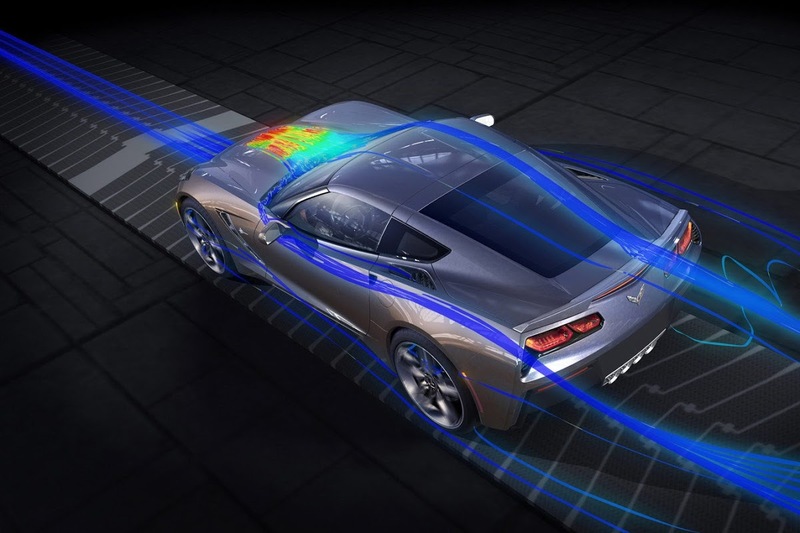 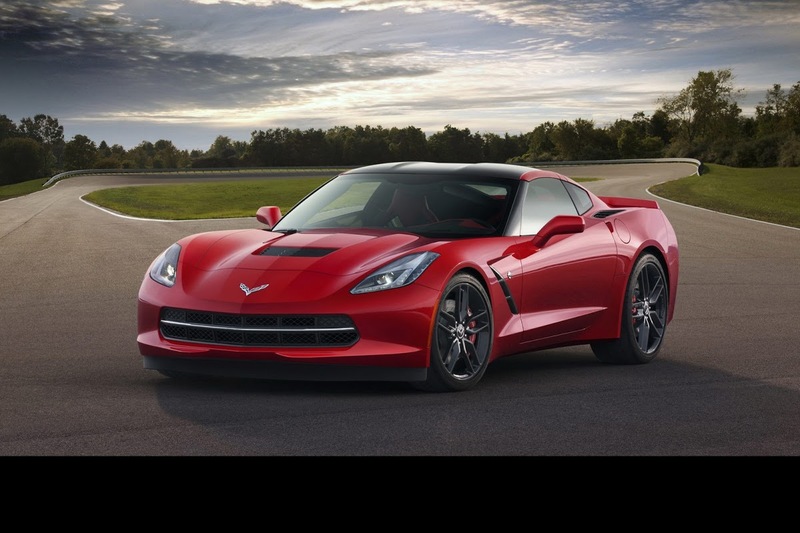 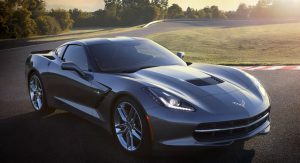 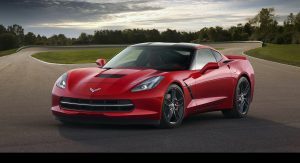 According to the automaker, the base Corvette Stingray is able to accelerate from 0-60mph (96km/h) in less than four seconds and achieve more than 1g in cornering grip. 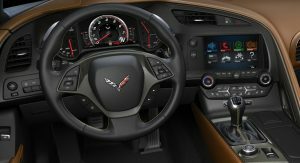 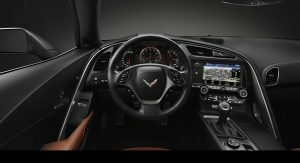 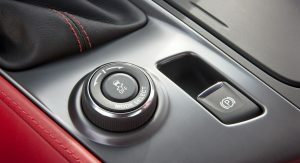 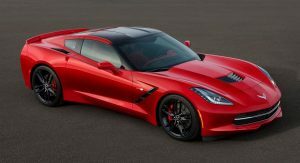 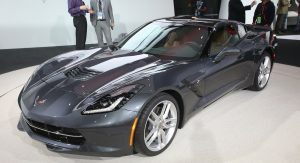 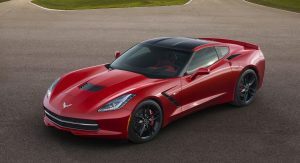 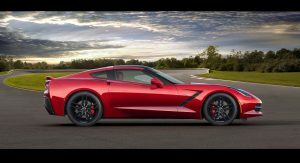 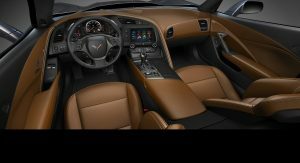 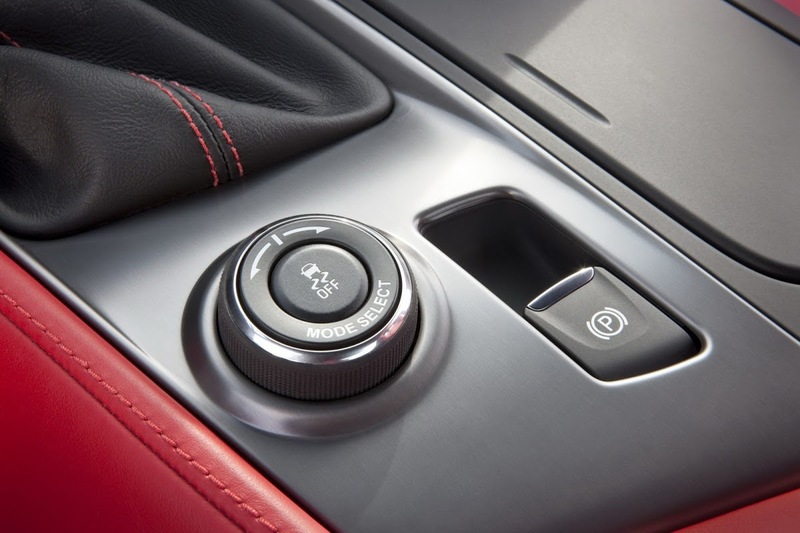 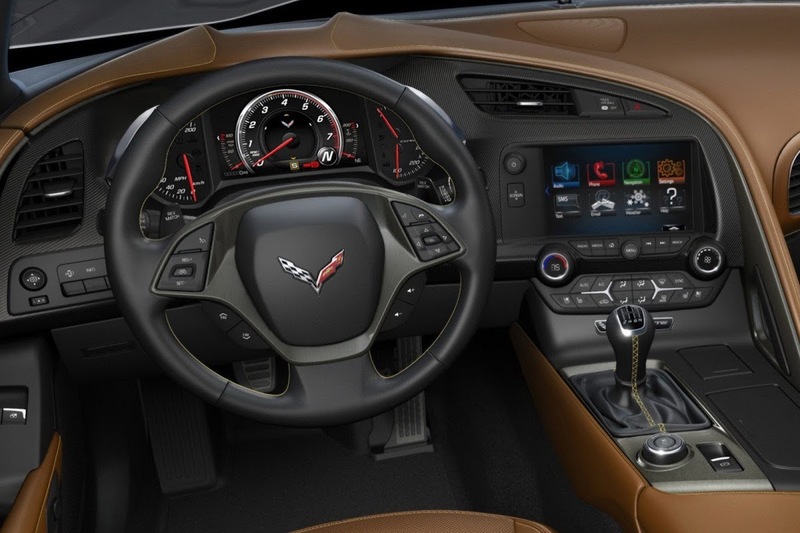 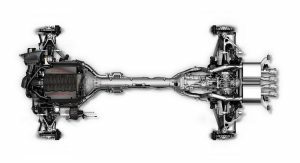 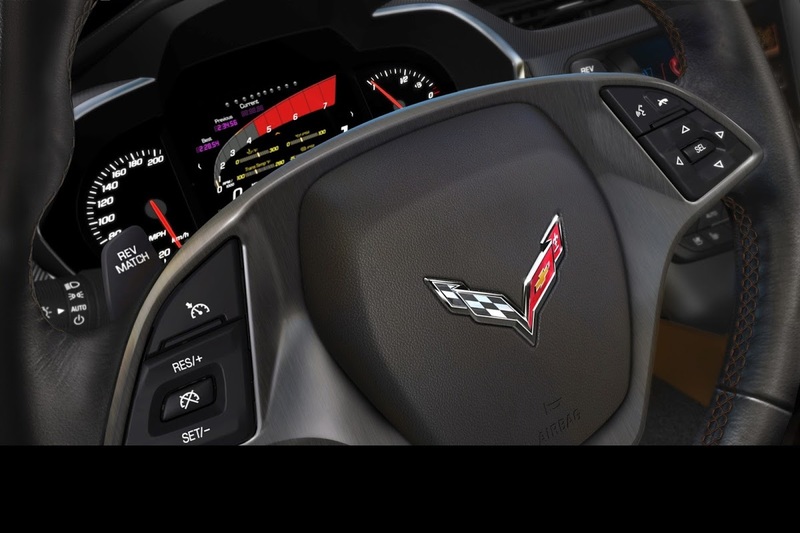 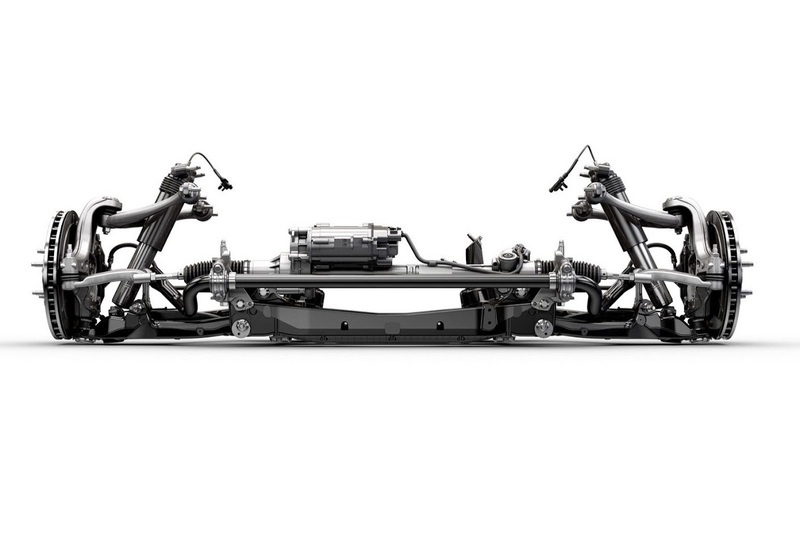 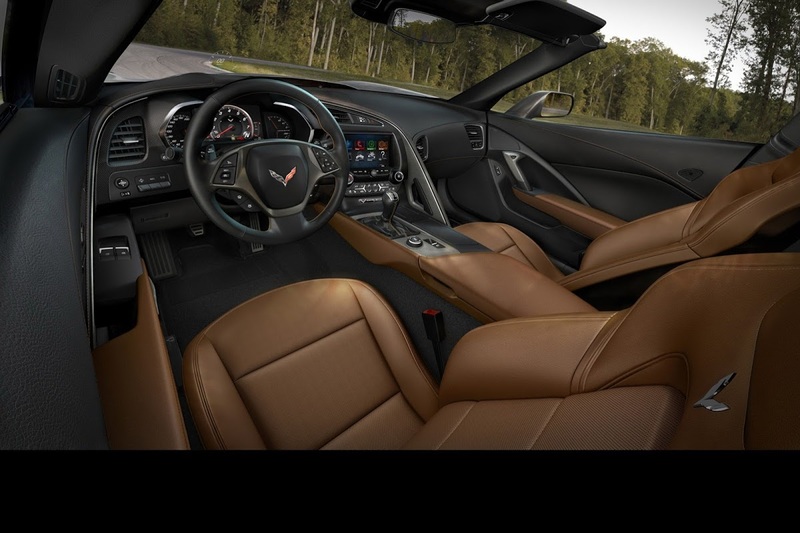 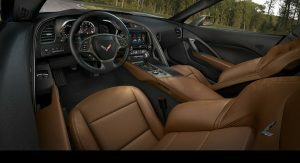 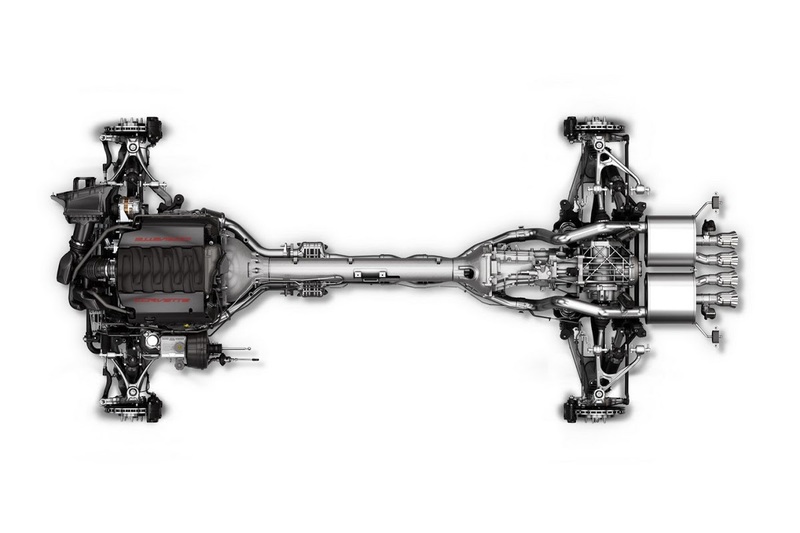 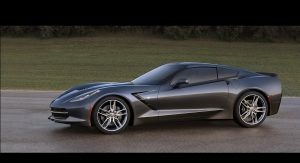 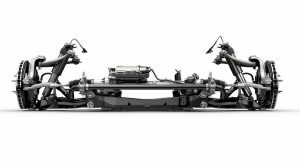 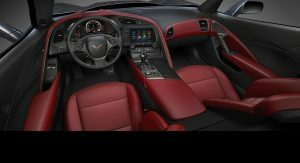 Transmission options include a six-speed automatic and, a first for the Corvette, a seven-speed Tremec manual gearbox with Active Rev Matching. 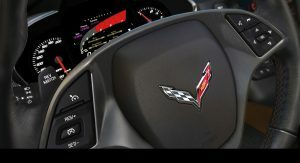 Driver technologies include a five-position Drive Mode Selector that GM says “tailors 12 vehicle attributes” to the fit the driving style. 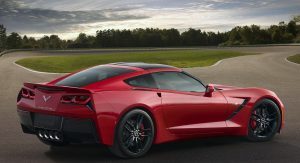 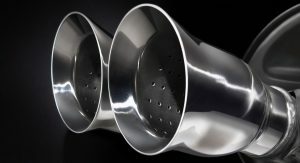 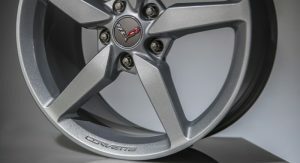 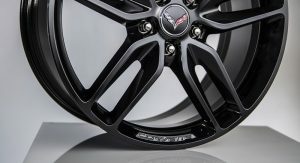 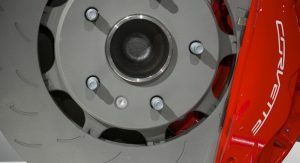 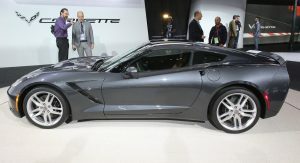 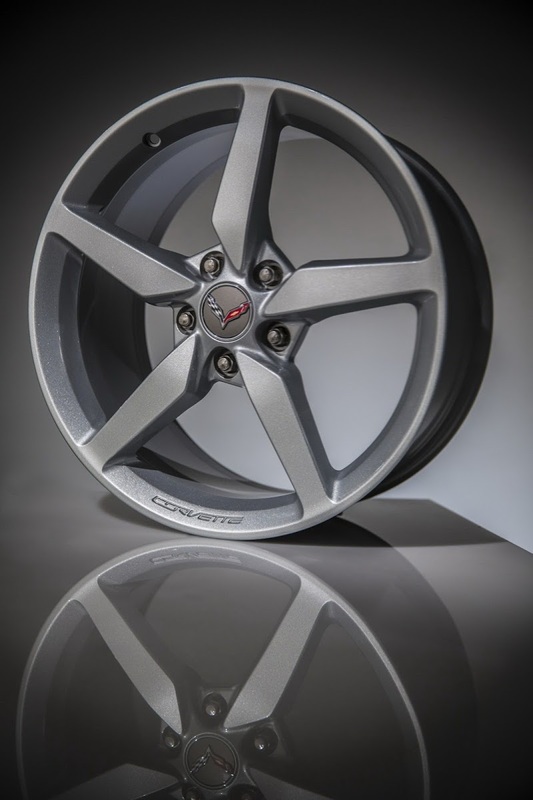 As an option, Chevrolet will offer a track-capable Z51 Performance Package that encompasses the following items: an electronic limited-slip differential, dry-sump oiling system, integral brake, differential and transmission cooling, as well as a unique aero package to improves high-speed stability. 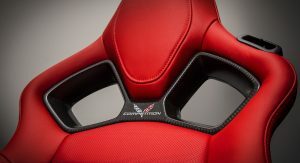 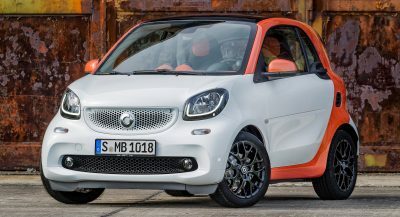 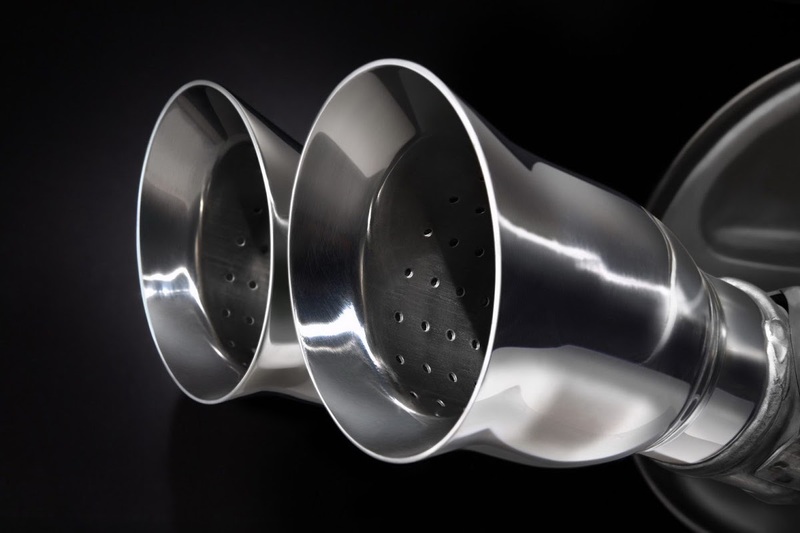 Naturally, more editions and higher-powered models will be added to the range over the next couple of years. 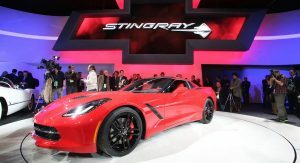 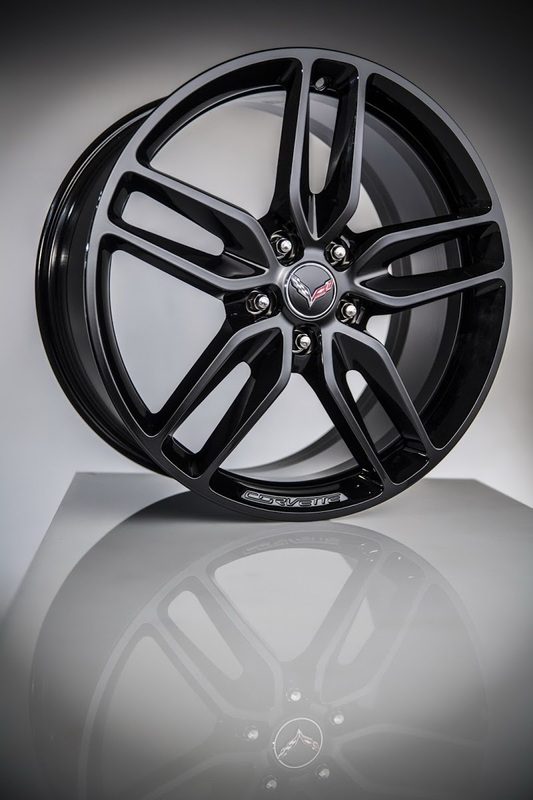 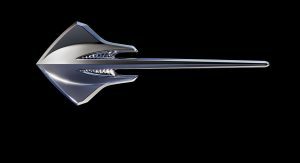 For now, you can view the photos below and then head over to the comments to tell us what you think about the new Stingray.